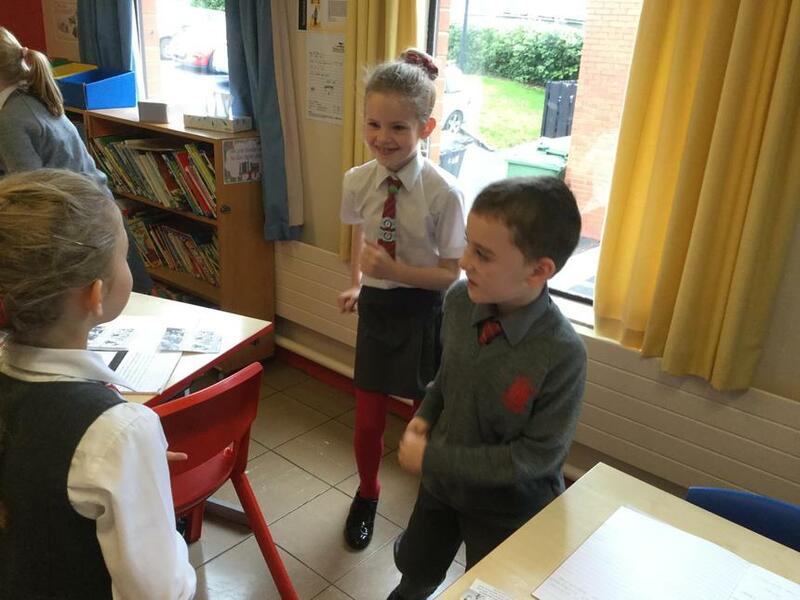 Group roles were assigned and we all enjoyed searching for information and working together to pose questions to ask Annie. 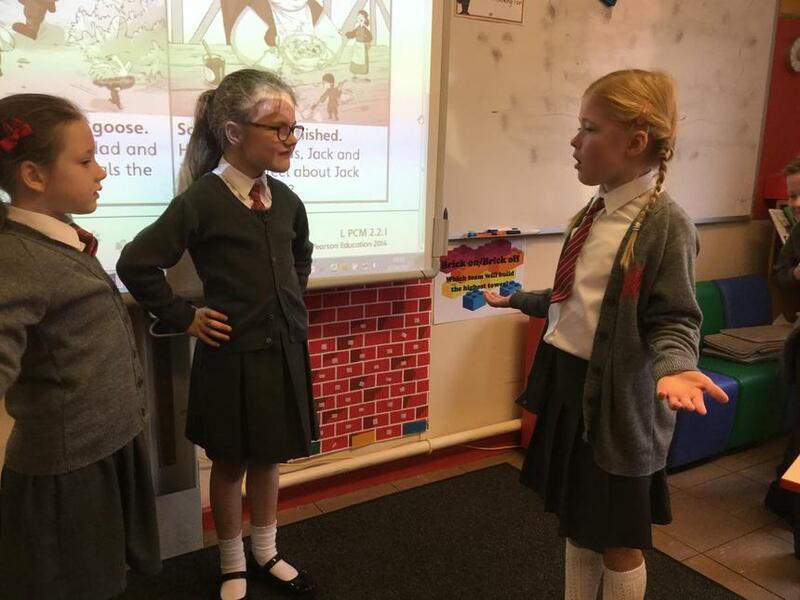 Hot seating Annie one of the main character from the book 'Storm'. 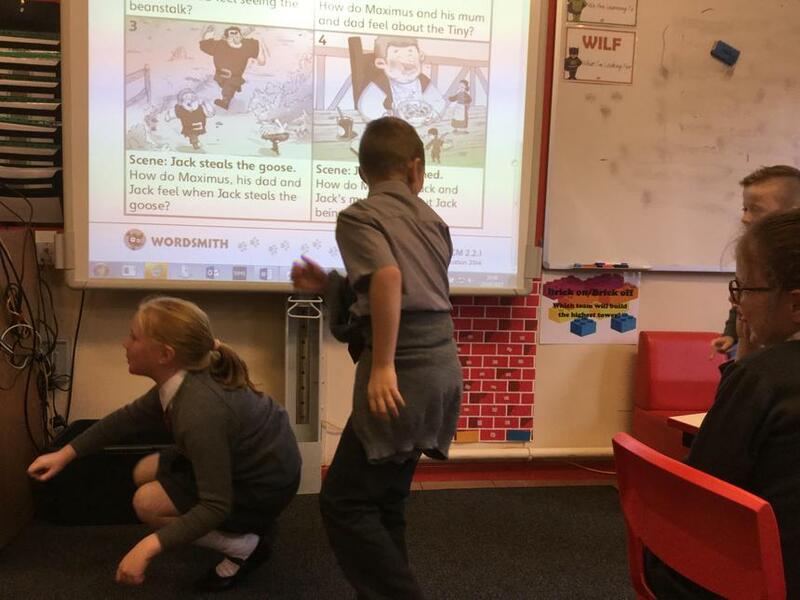 We were learning about suffixes. 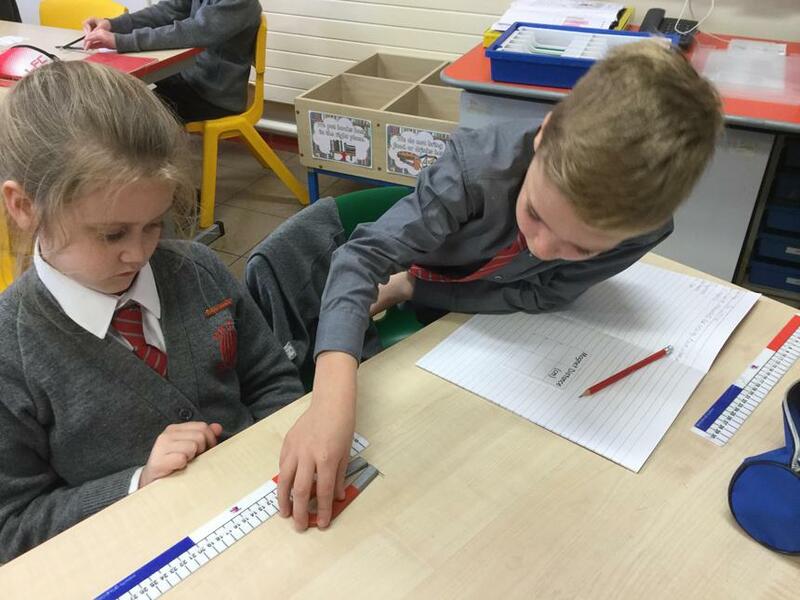 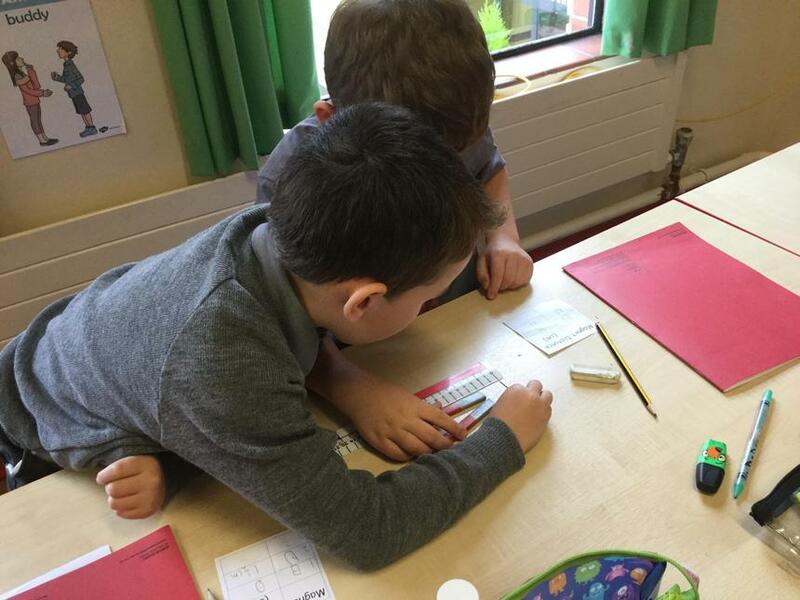 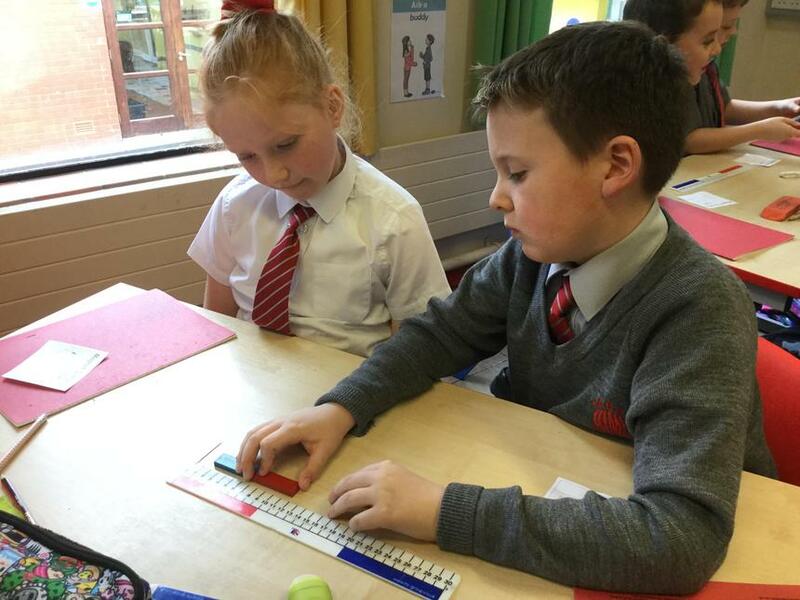 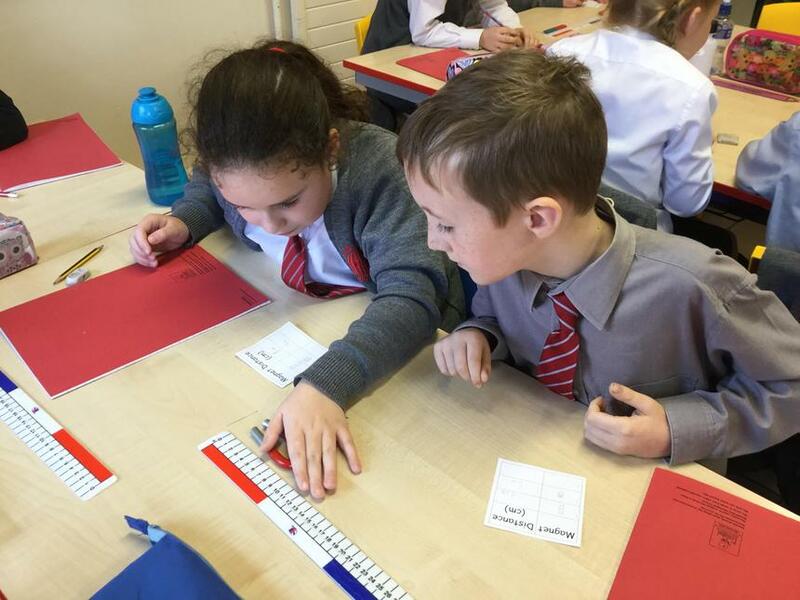 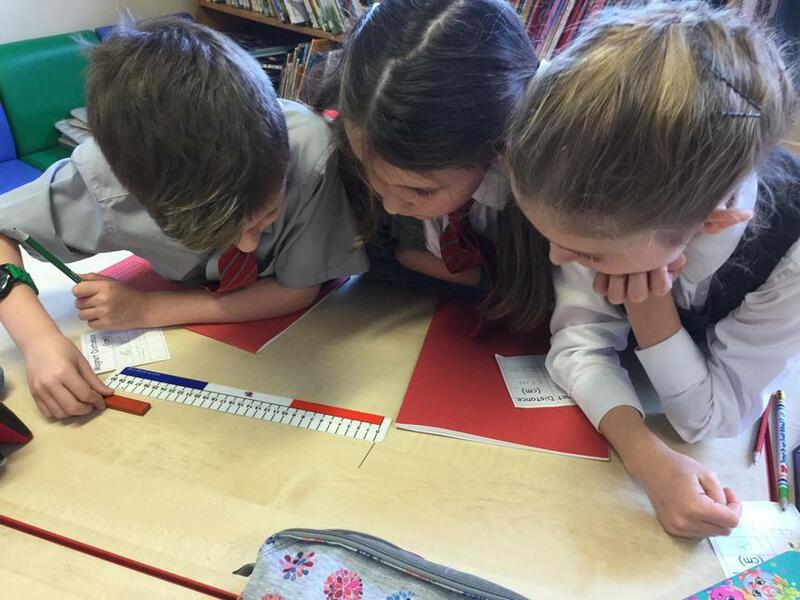 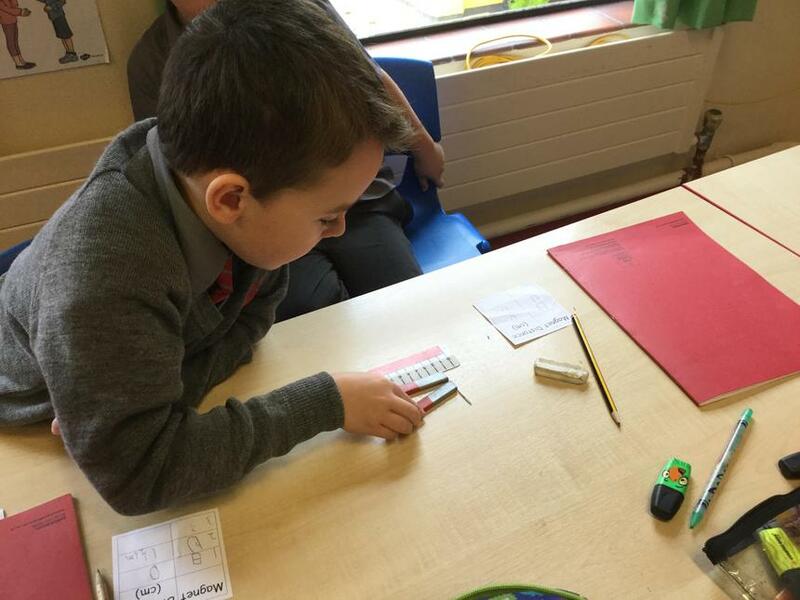 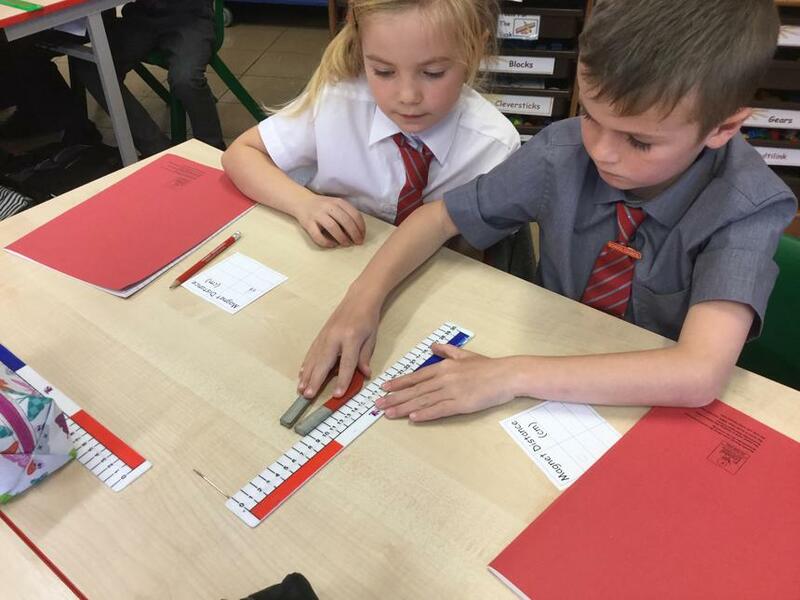 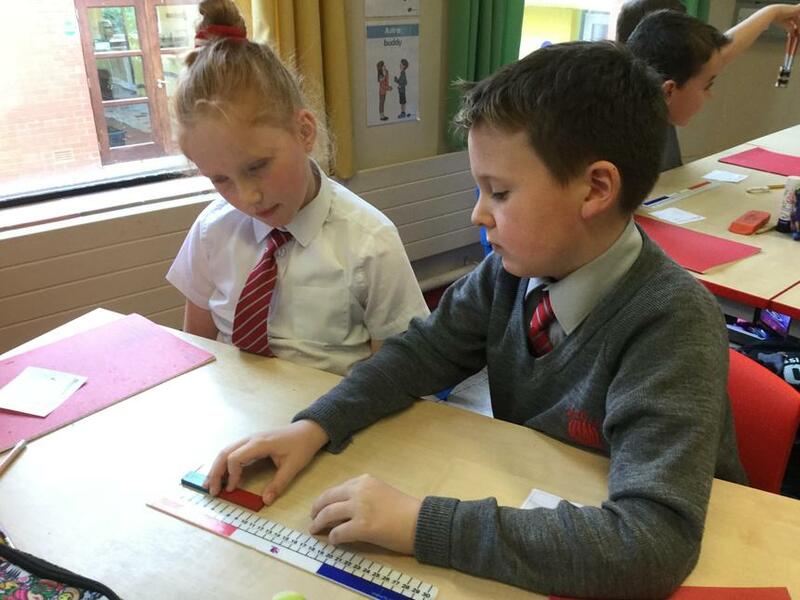 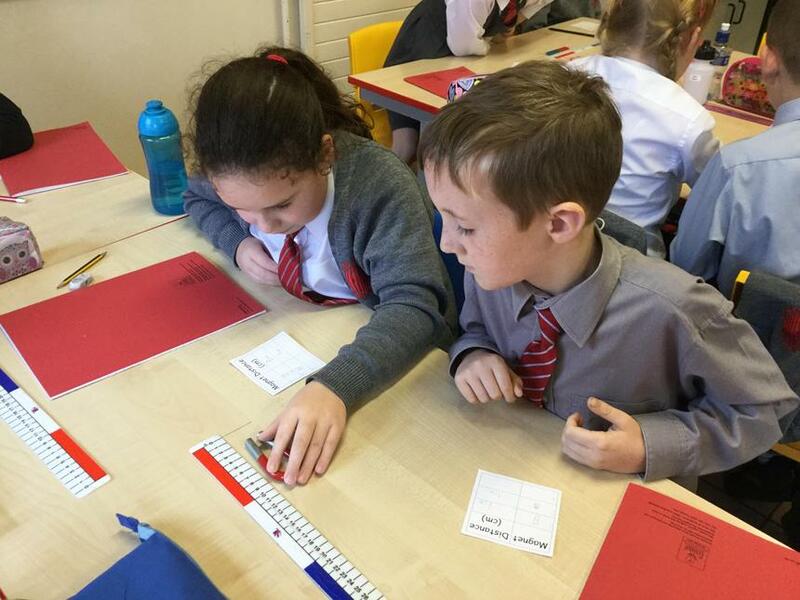 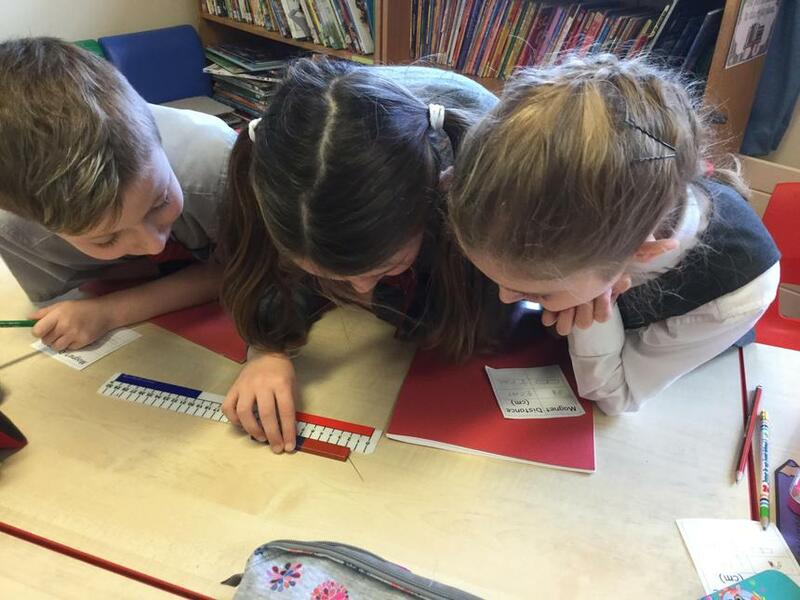 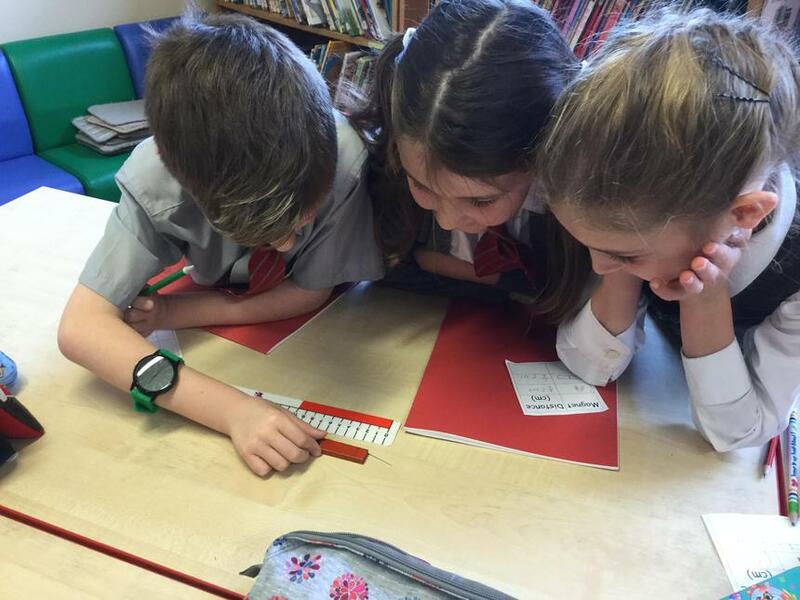 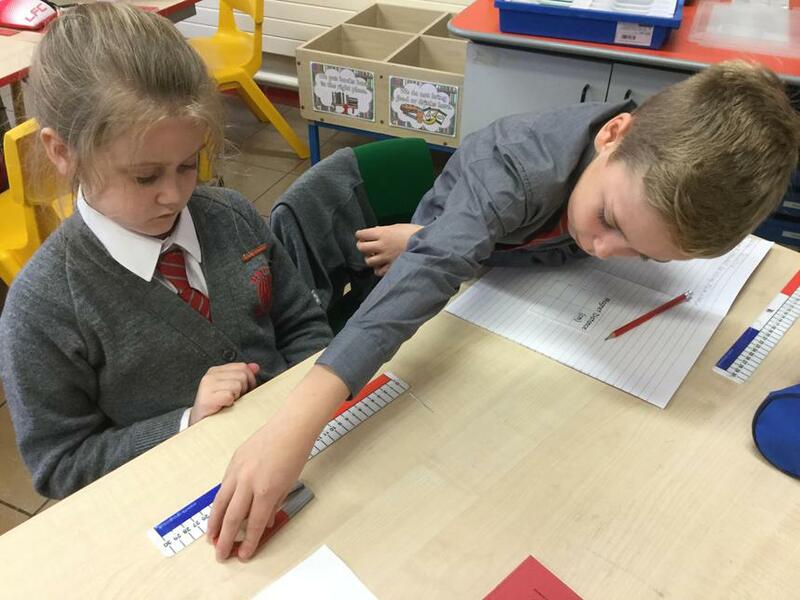 We looked at how the suffix causes a spelling change to the original word. 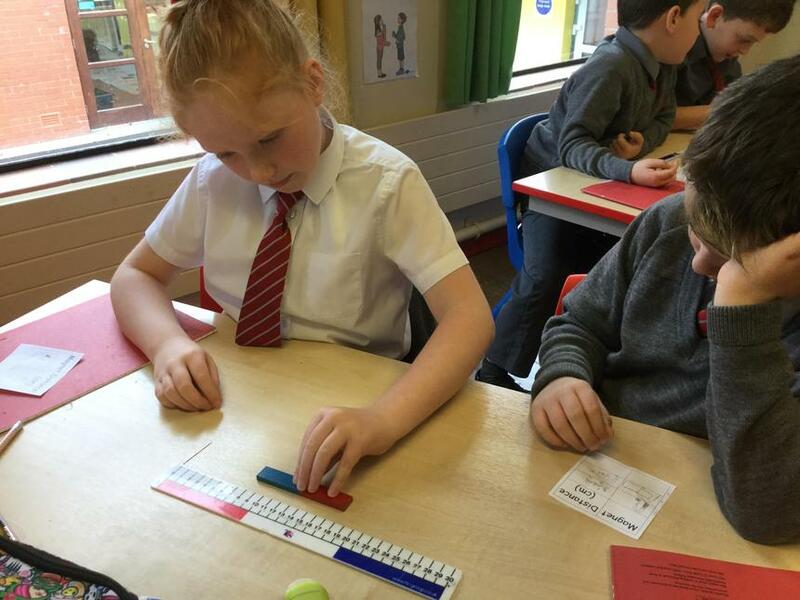 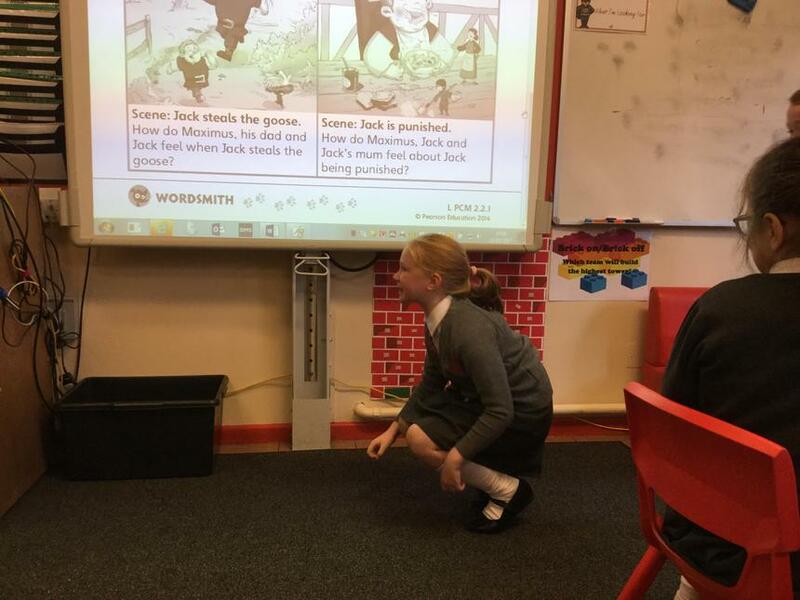 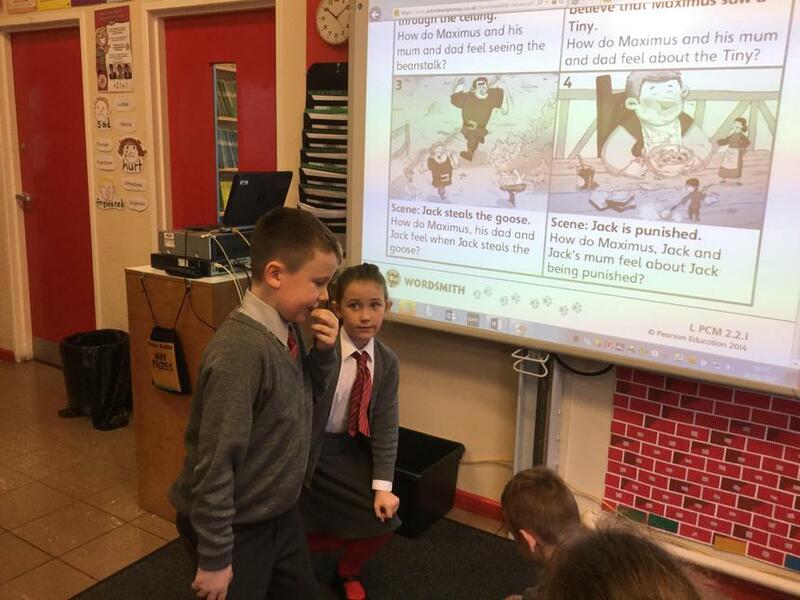 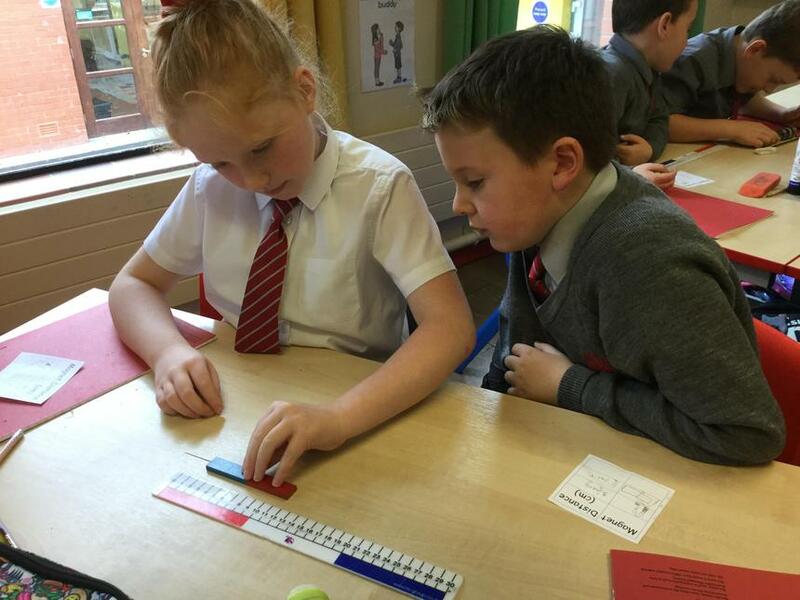 Mrs Anderson was helping us learn all about conjunctions. 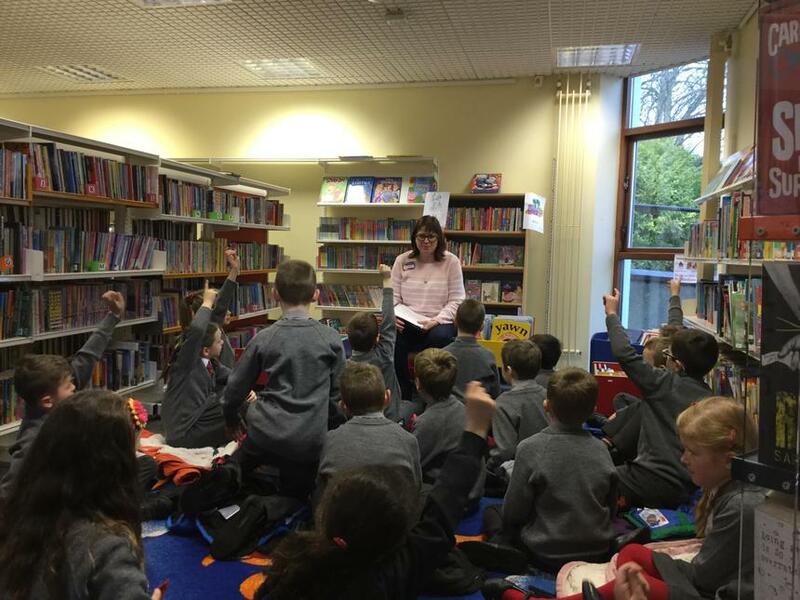 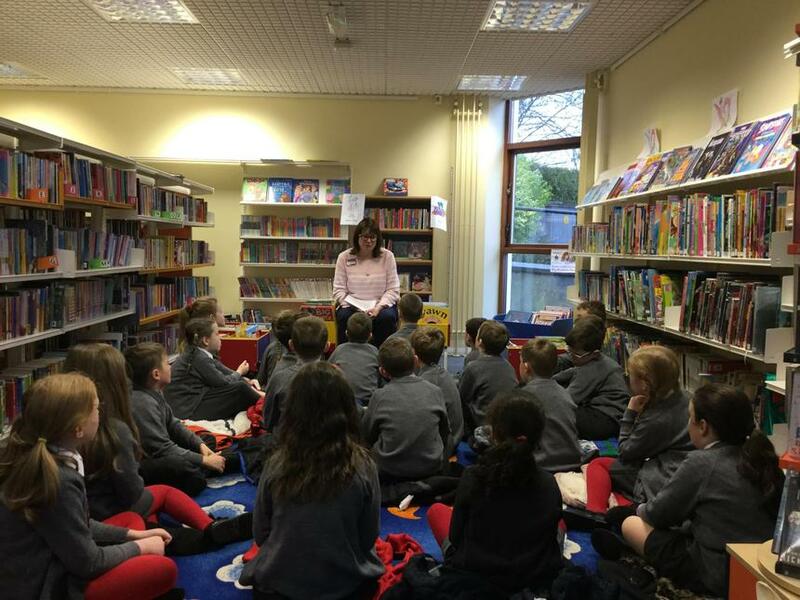 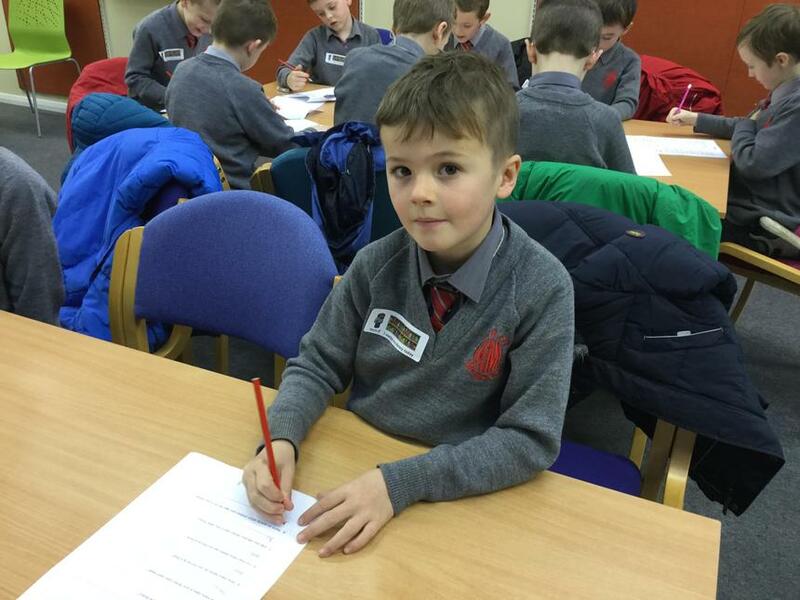 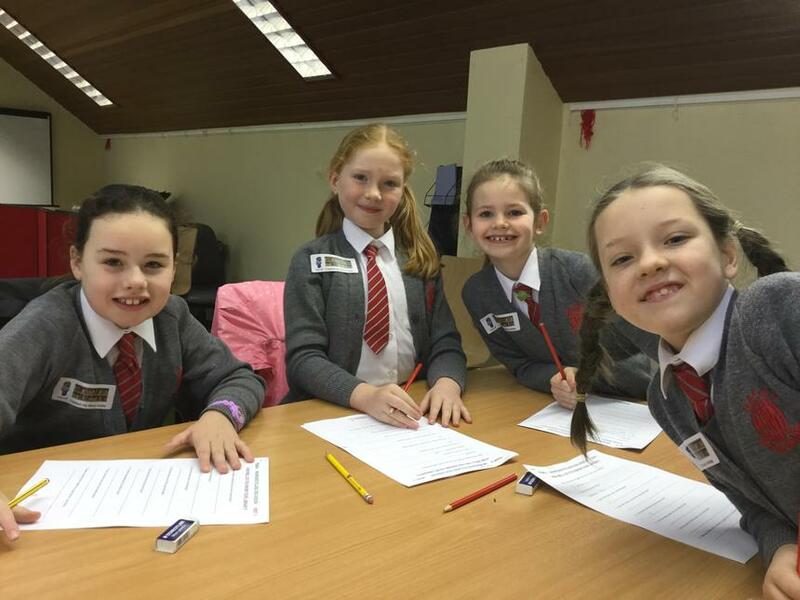 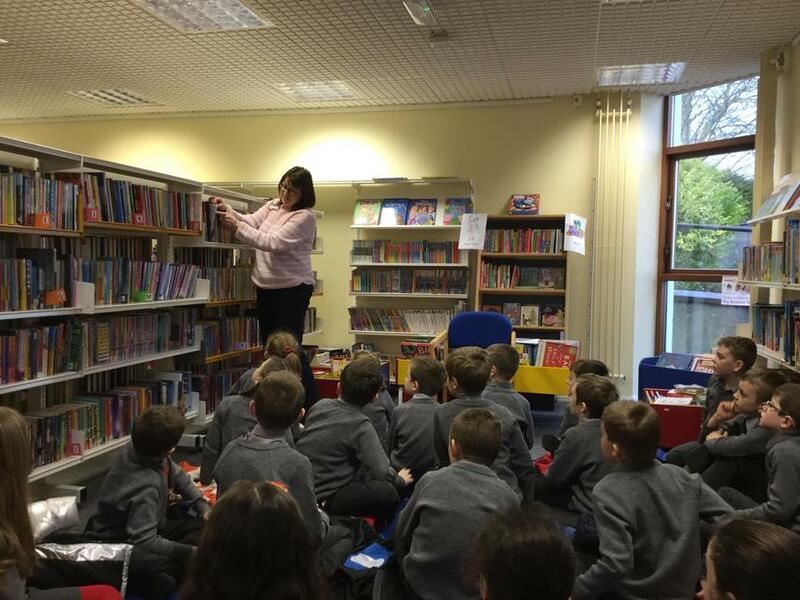 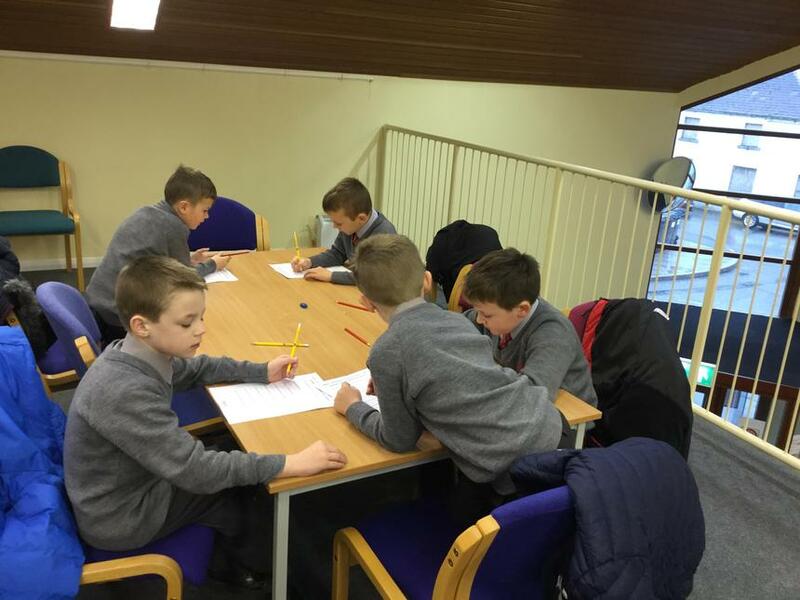 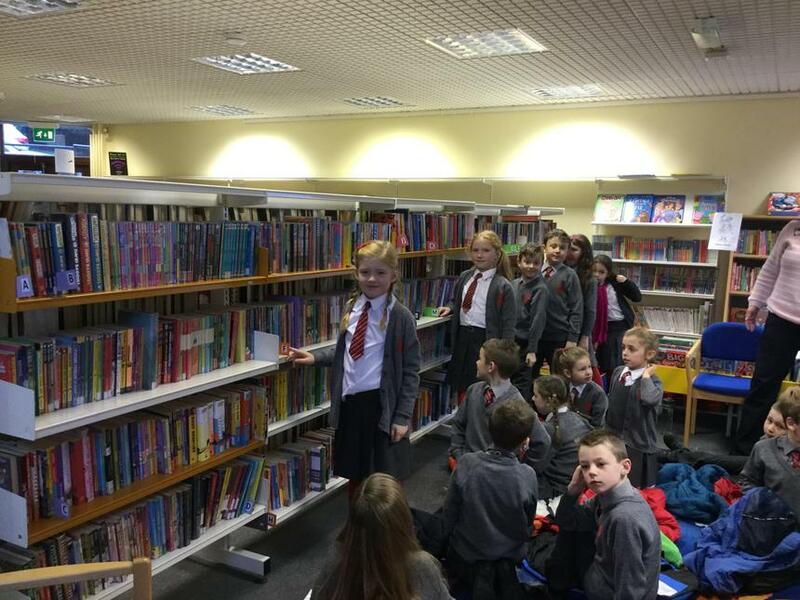 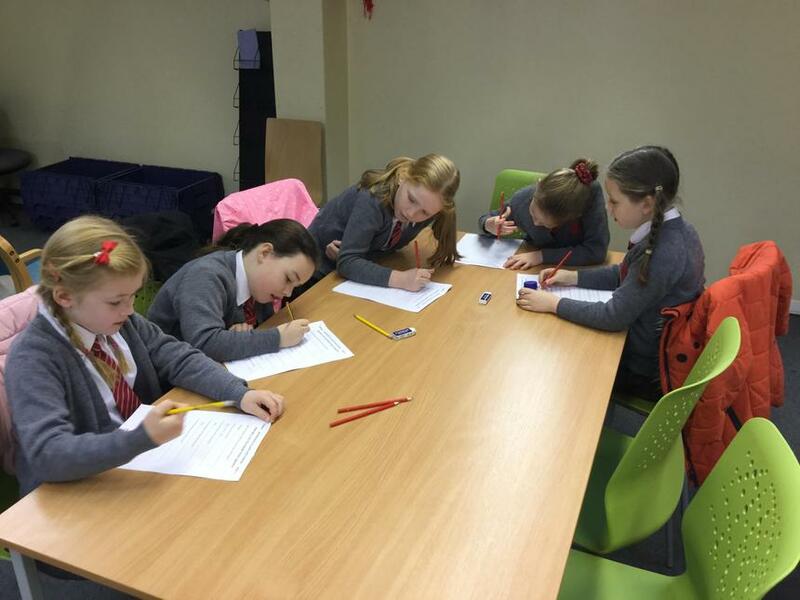 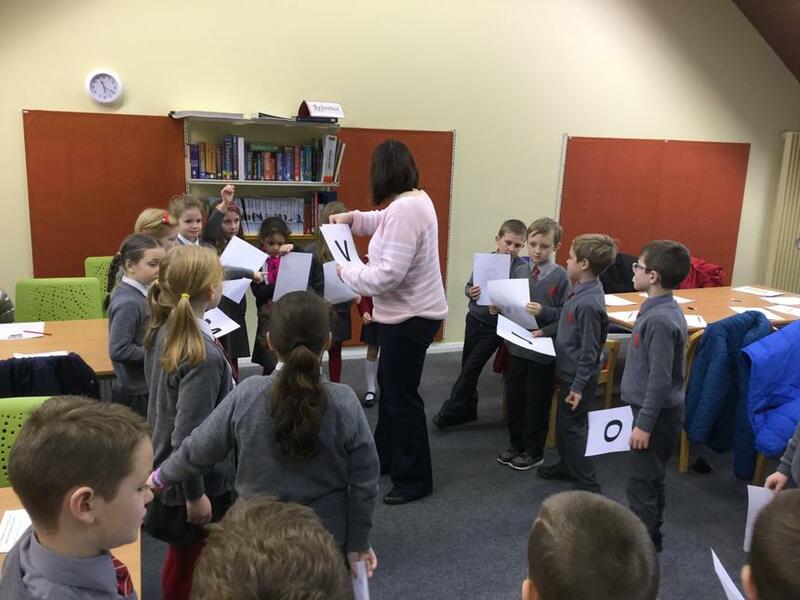 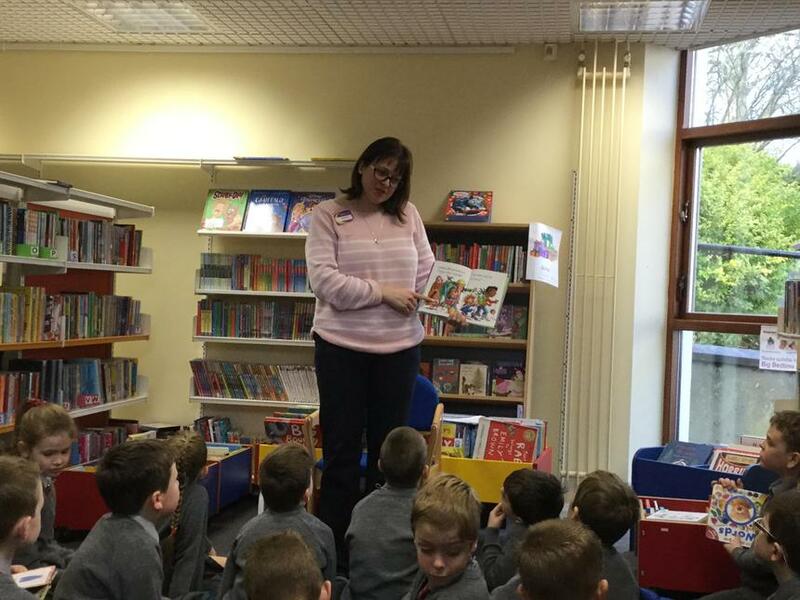 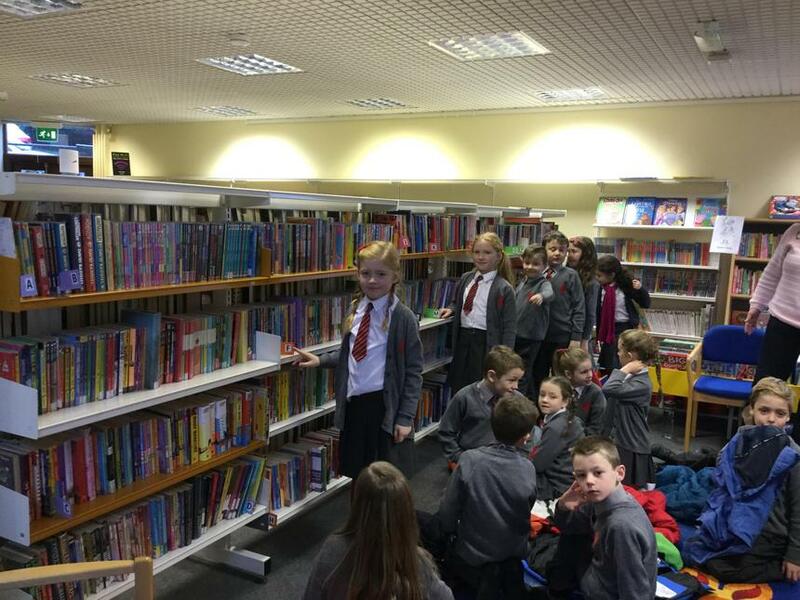 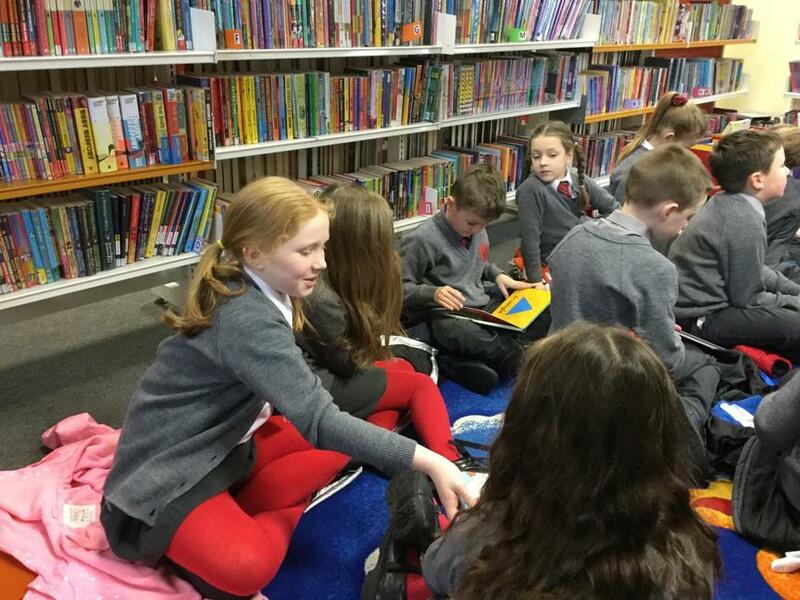 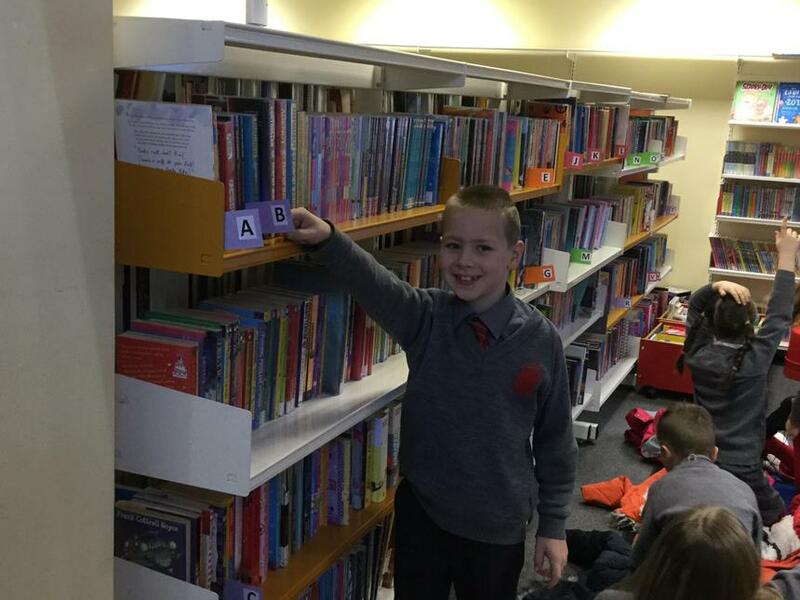 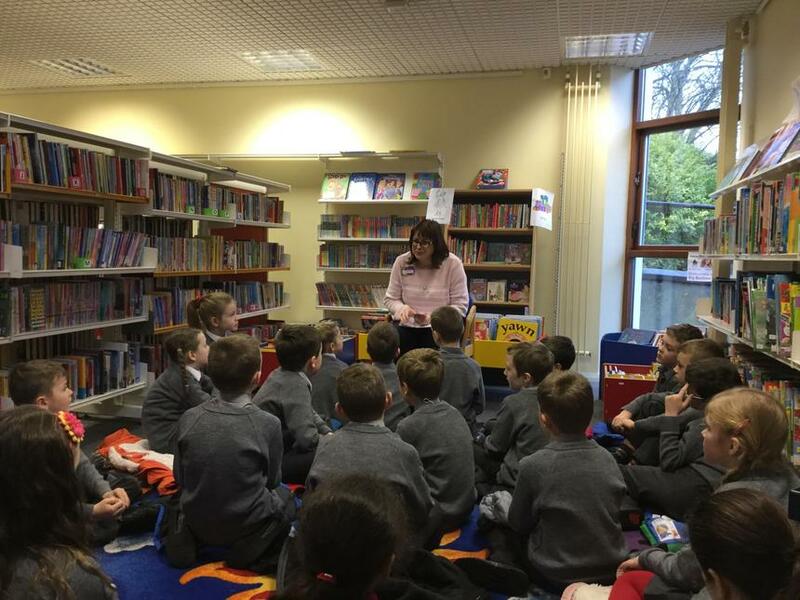 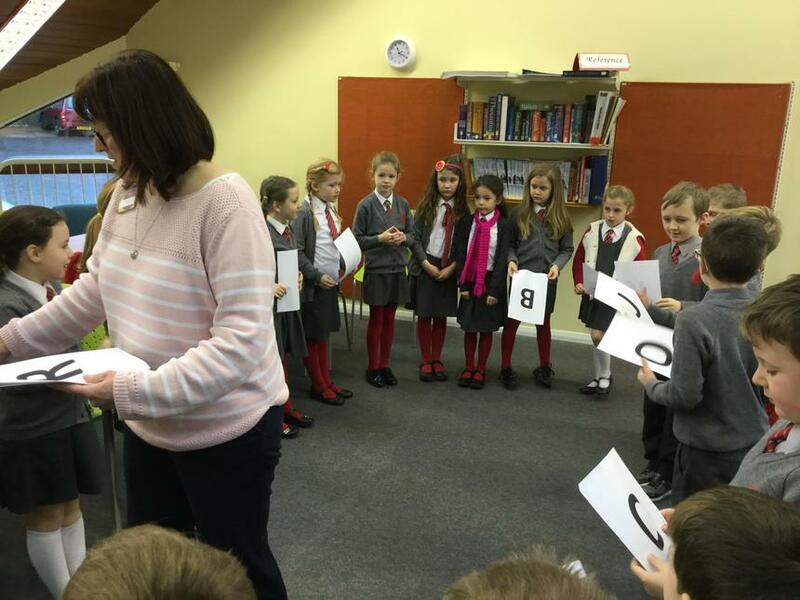 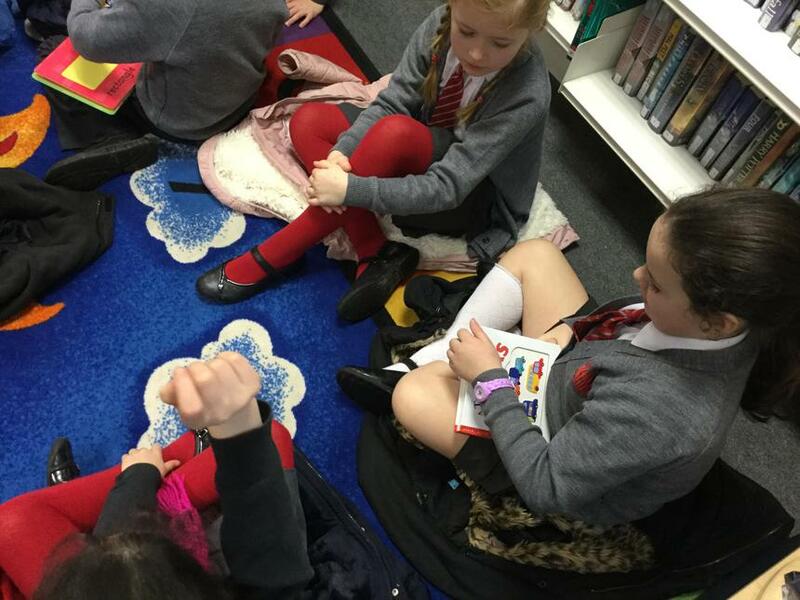 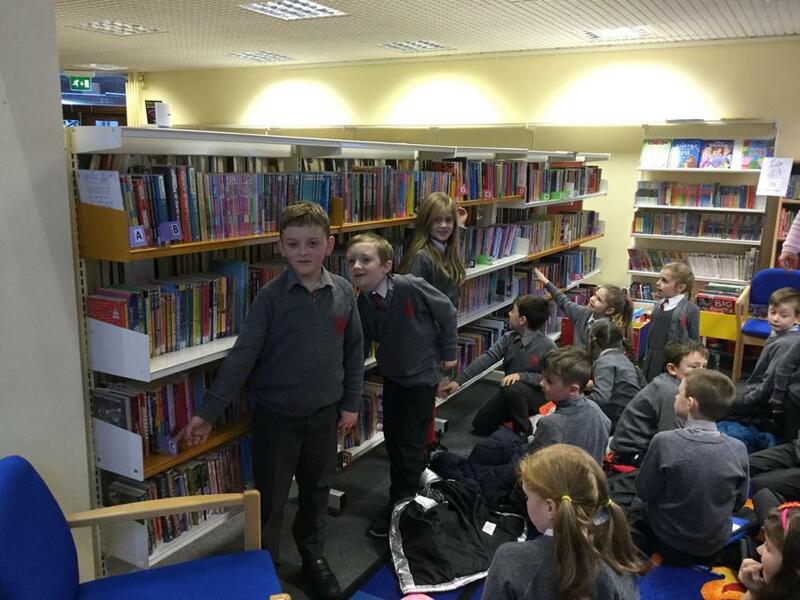 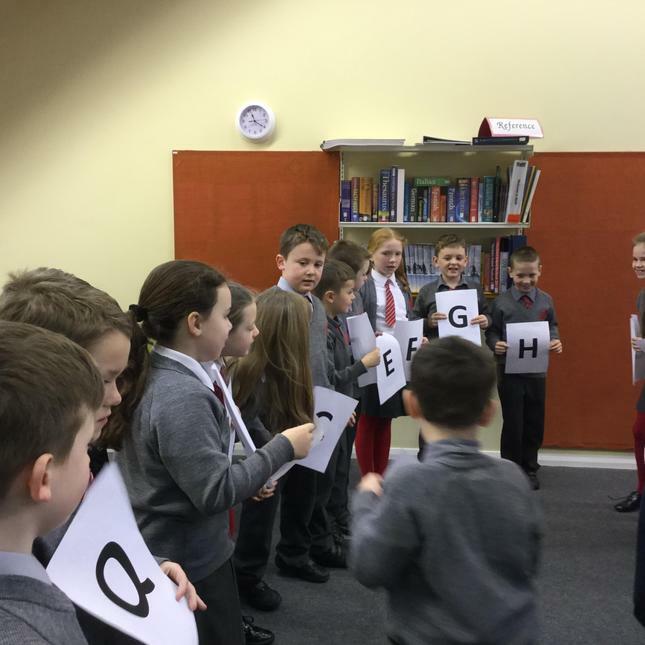 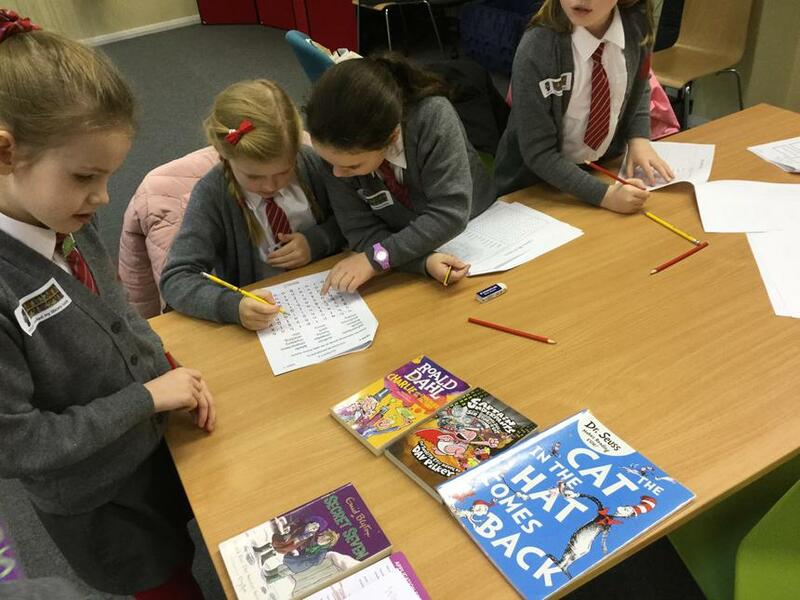 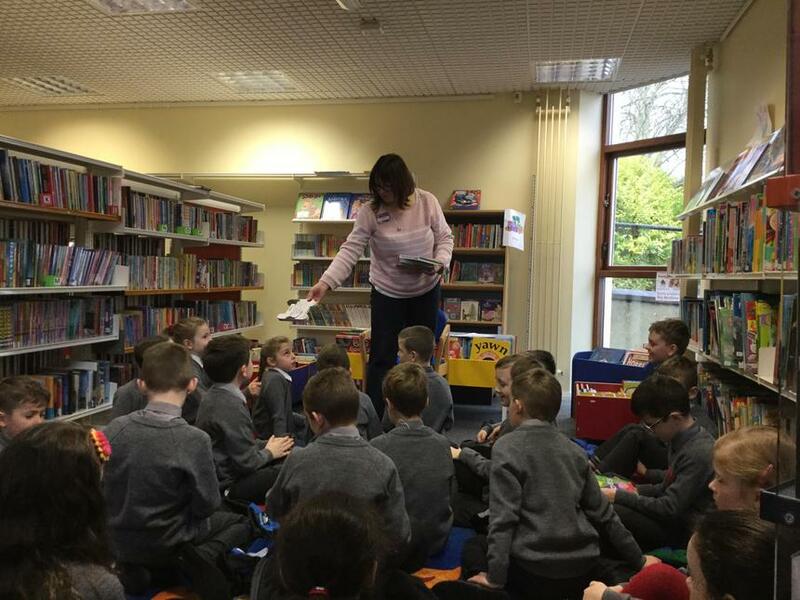 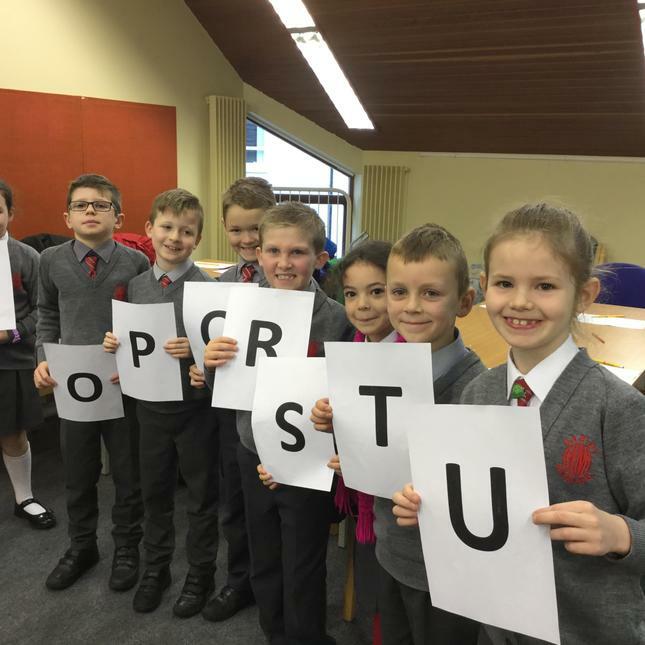 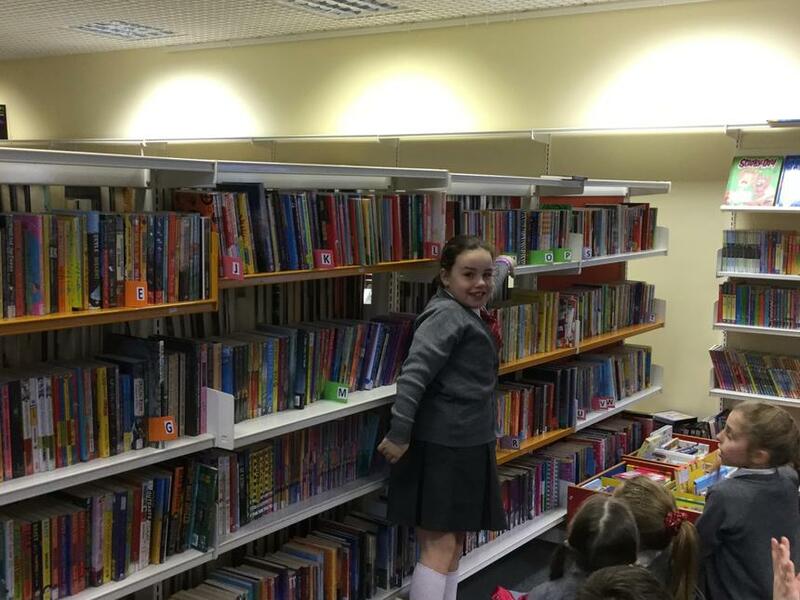 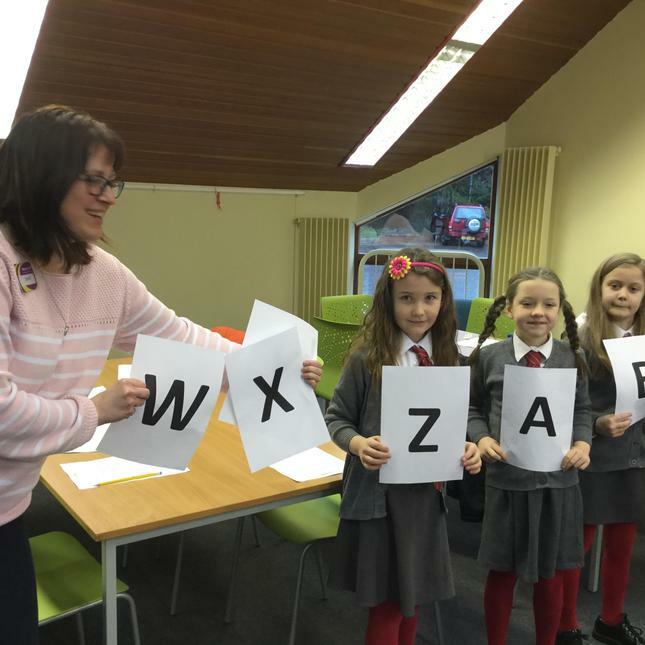 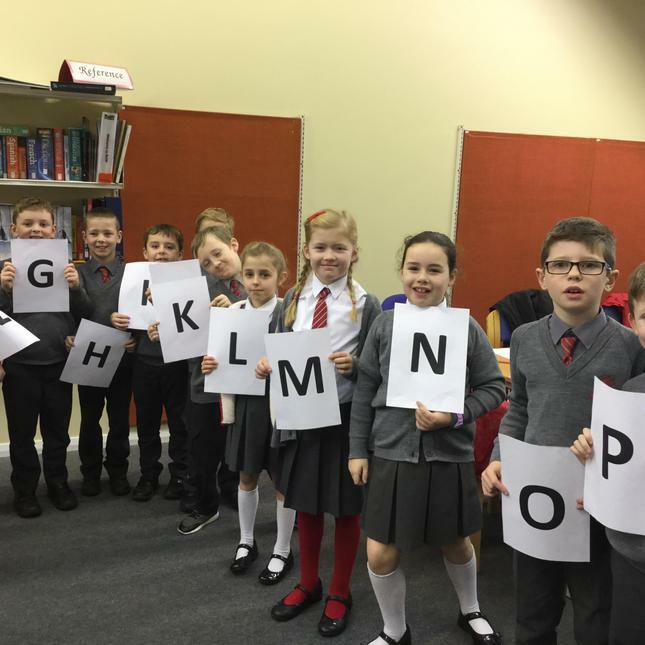 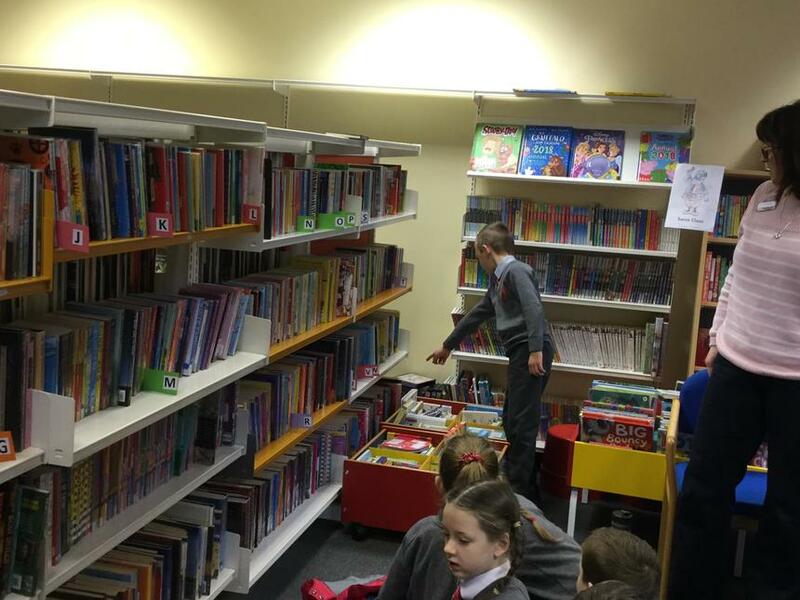 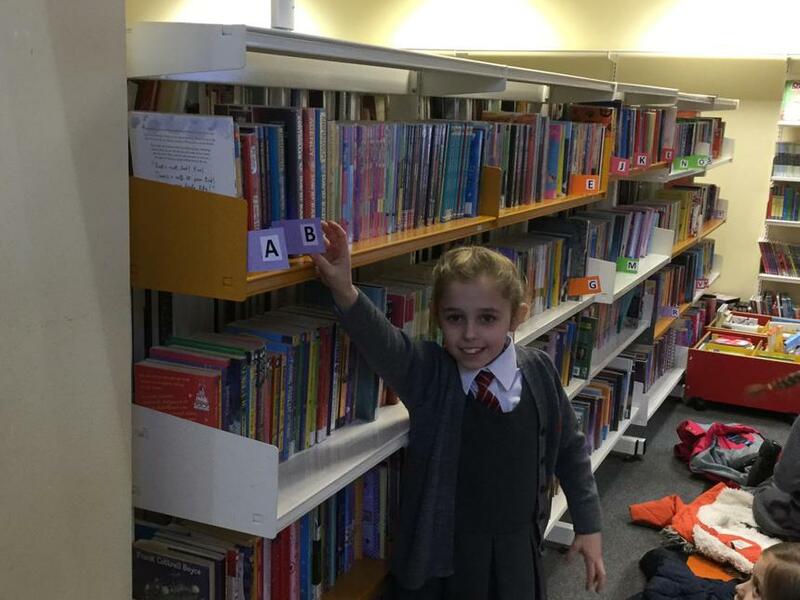 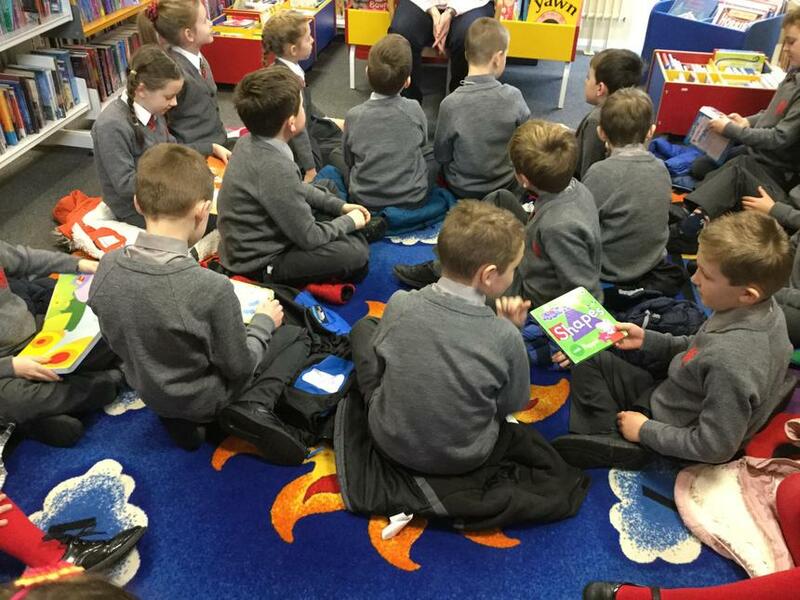 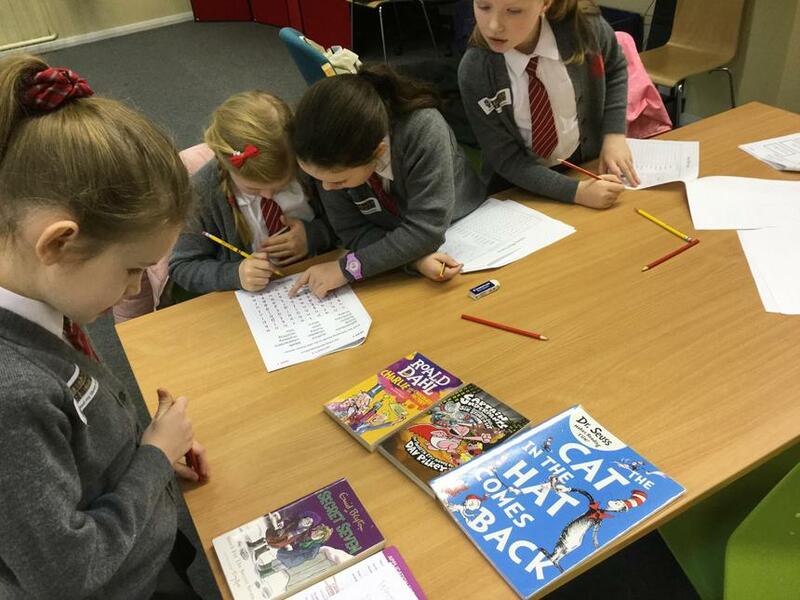 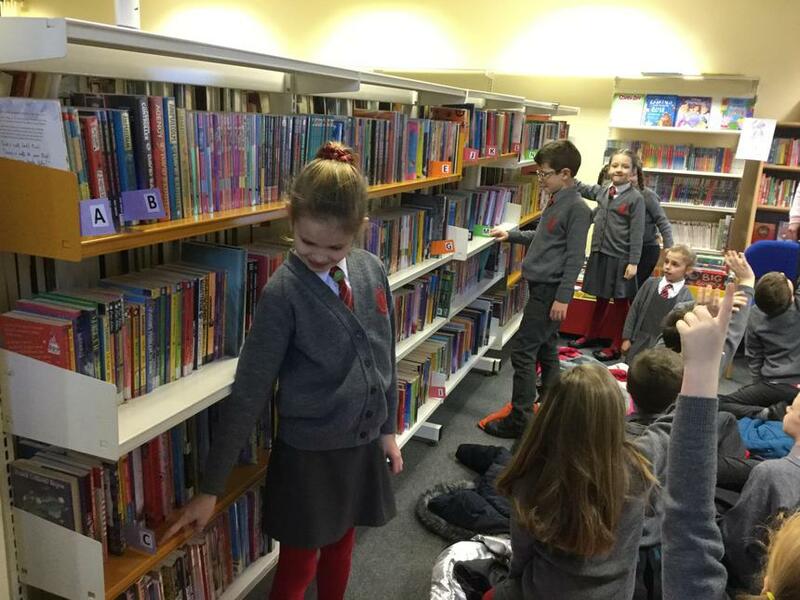 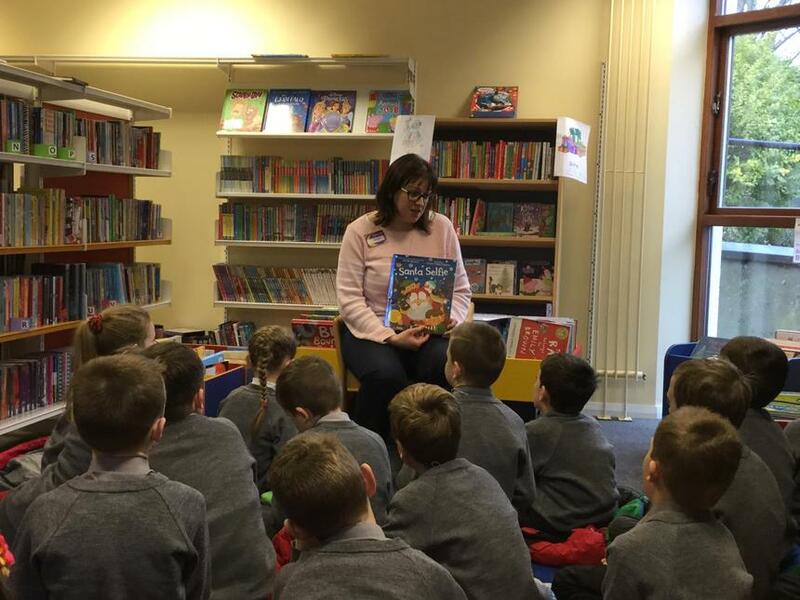 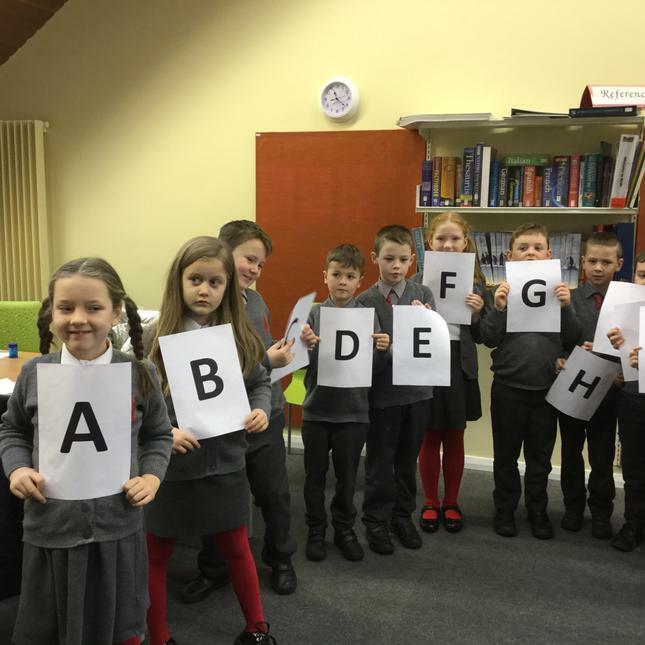 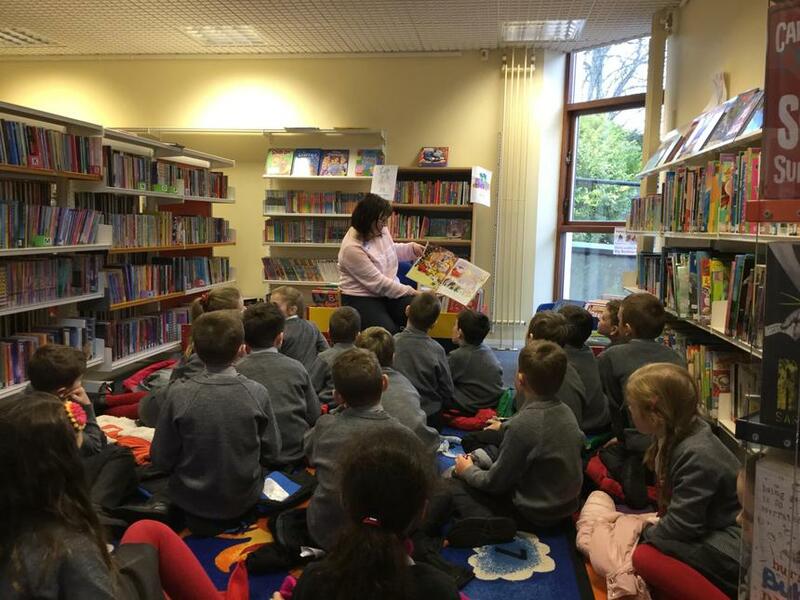 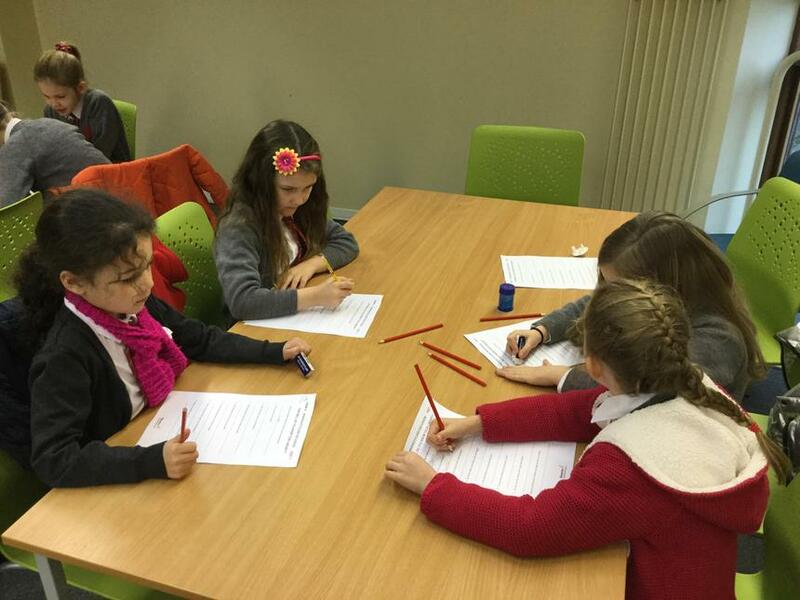 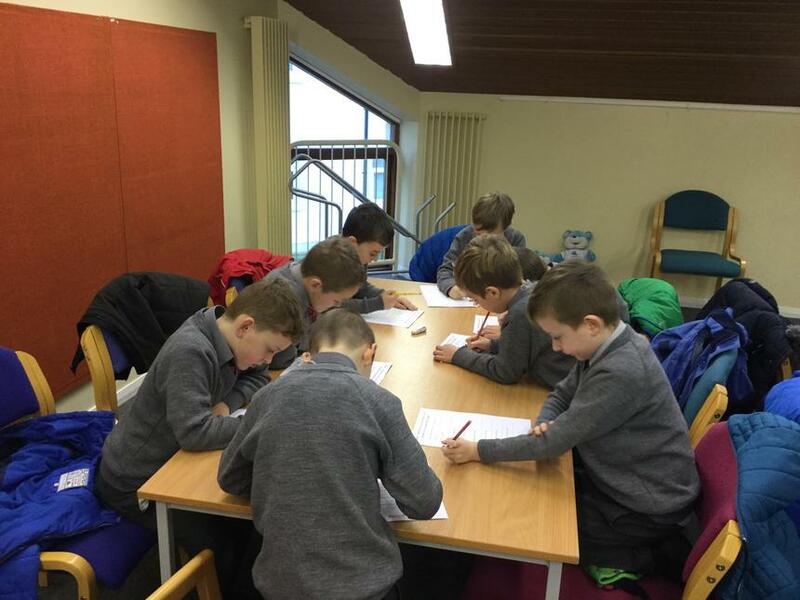 We had a great morning in Richhill Library on 30th November. 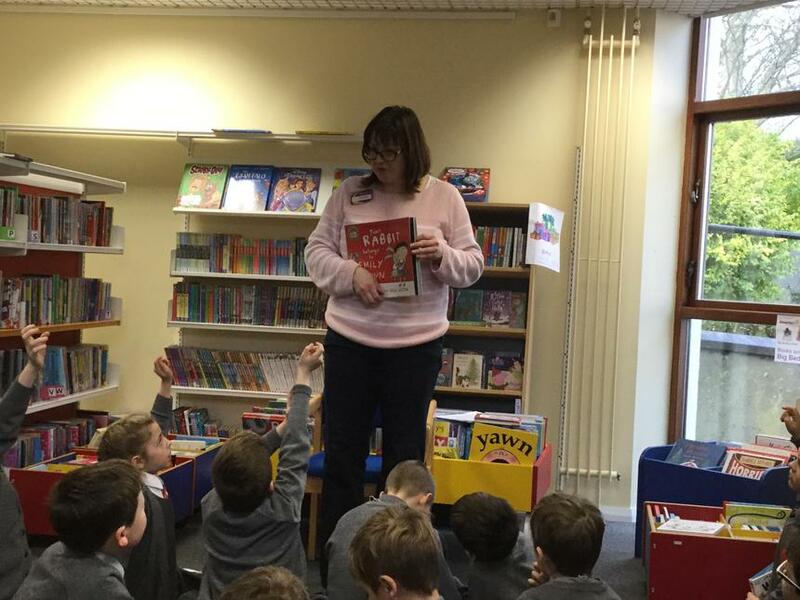 Sharon the librarian told us all about fiction texts and how we would locate them on the shelves. 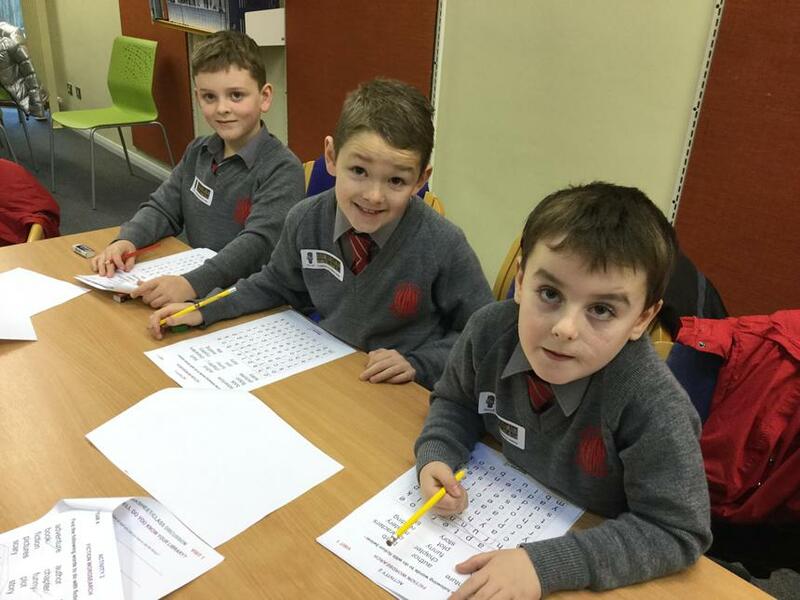 Everyone enjoyed completing the quiz. 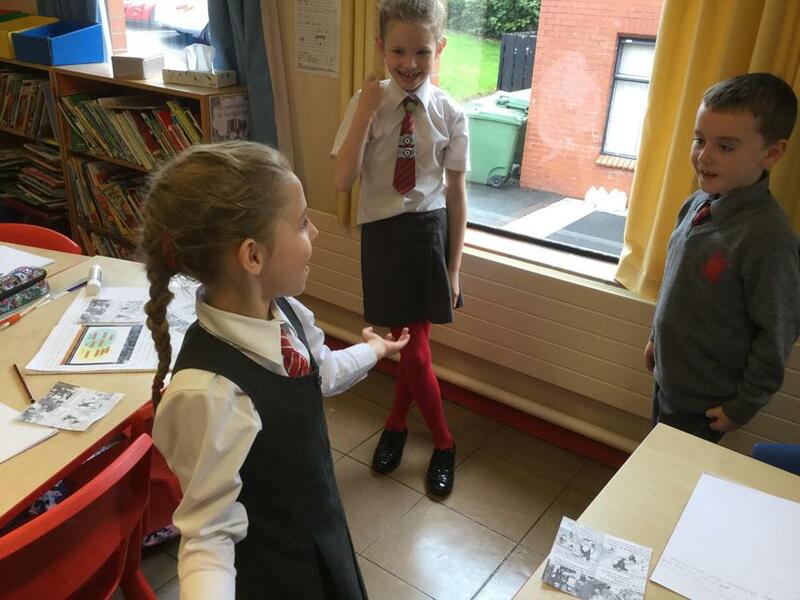 We used our sense of smell, touch, sight and taste to help us think of interesting adjectives to describe fruit! 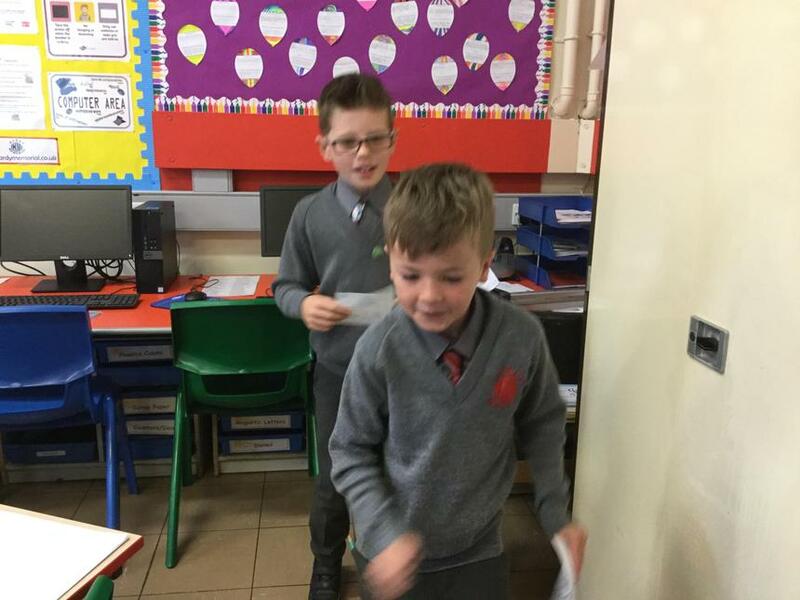 We have been thinking about our senses in our WAU topic Marvellous Me and by linking it with our literacy and work on adjectives we produced interesting poems about fruit. 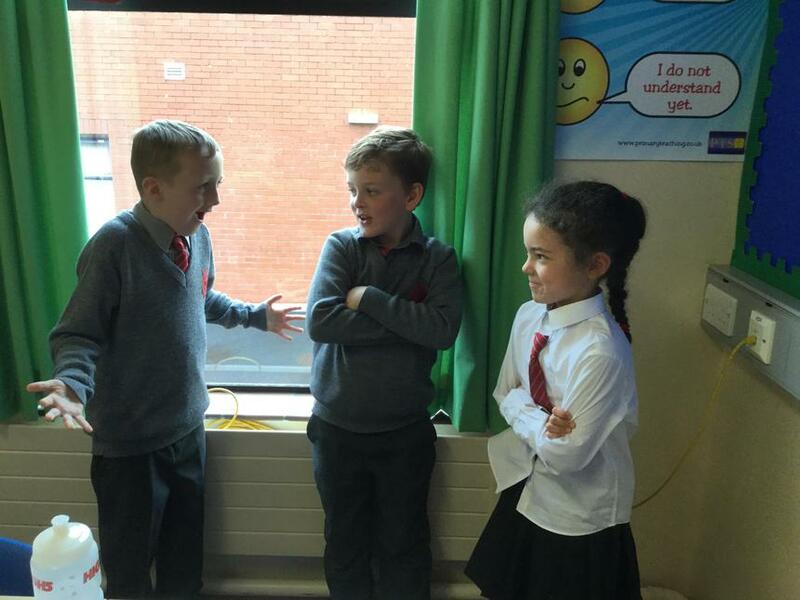 We enjoyed sharing our poems with each other. 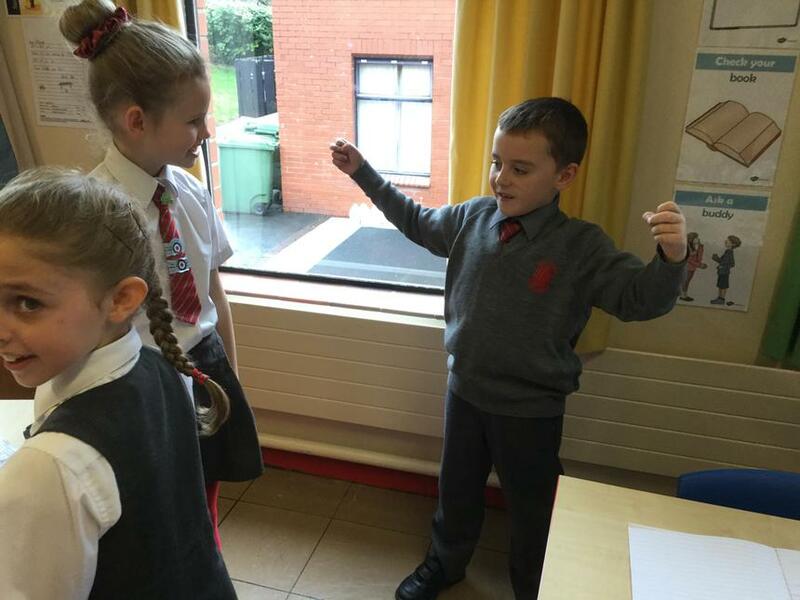 We loved playing Bossy Bats. 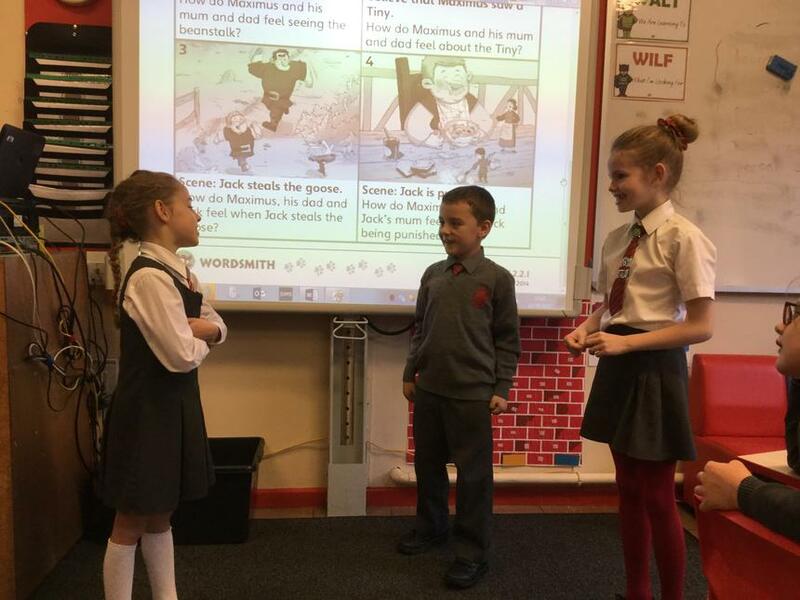 It helped us to identify the bossy verb. 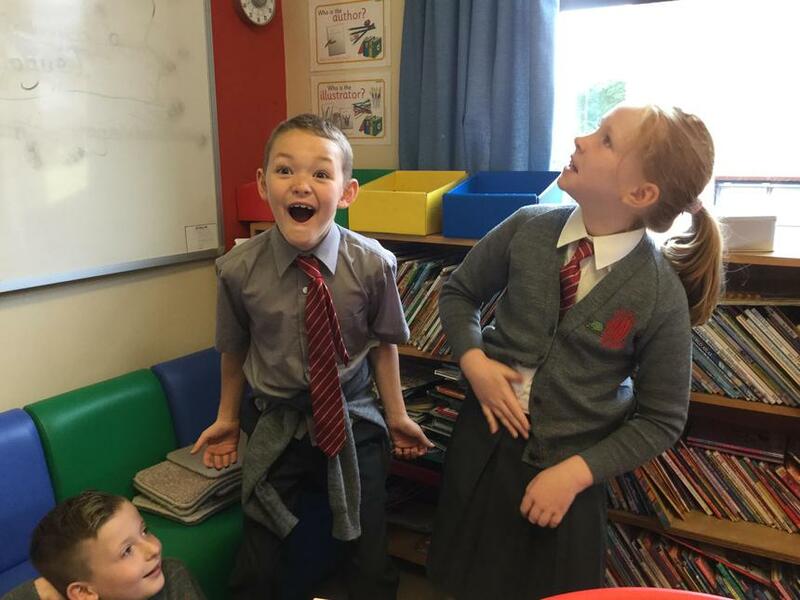 We thoroughly enjoyed completing the action!!!! 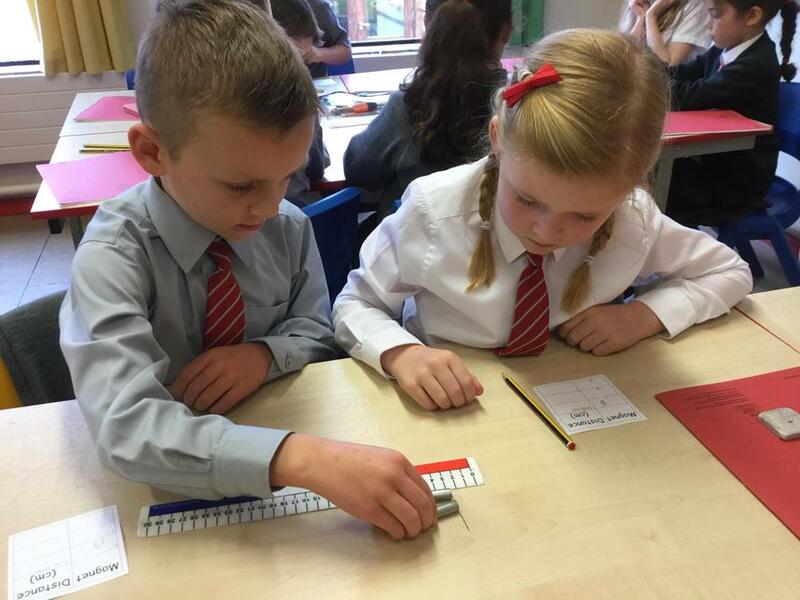 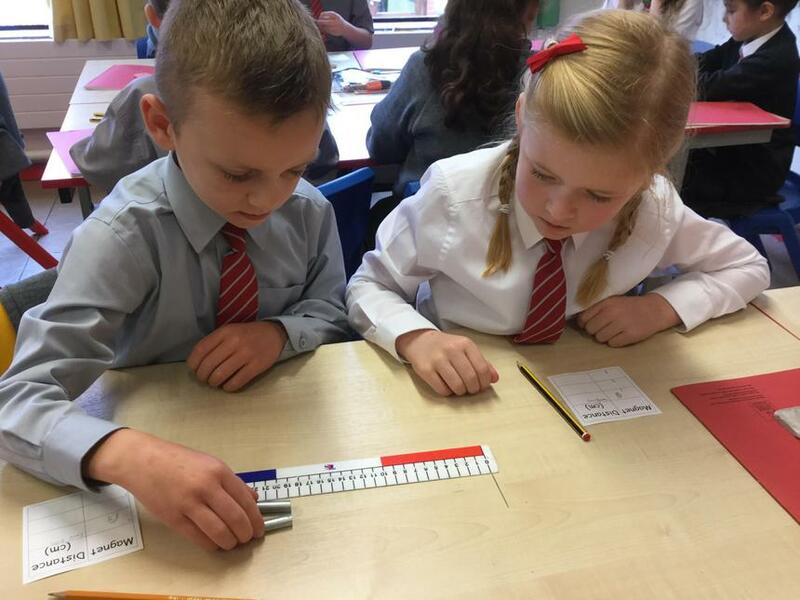 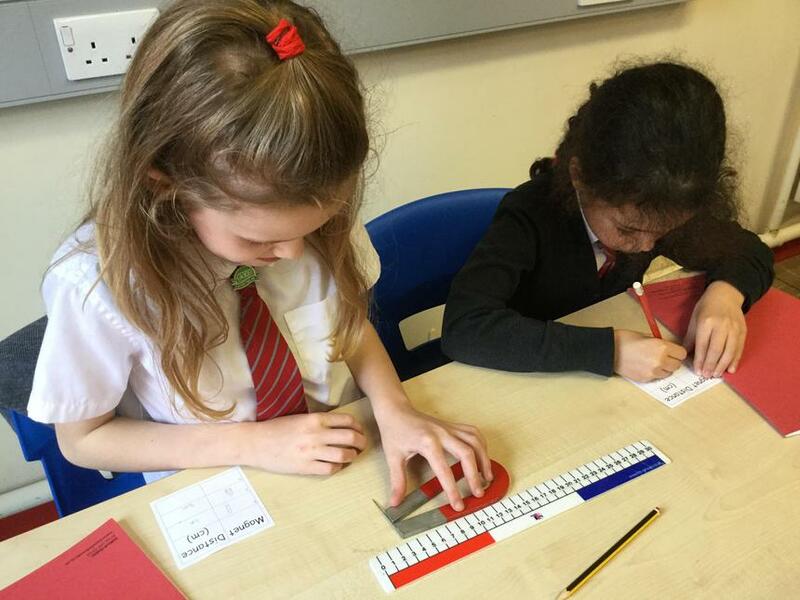 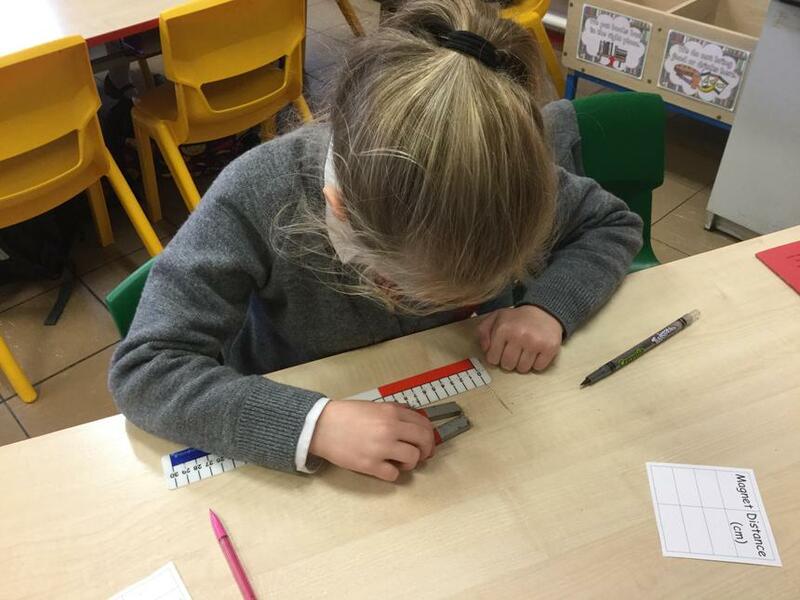 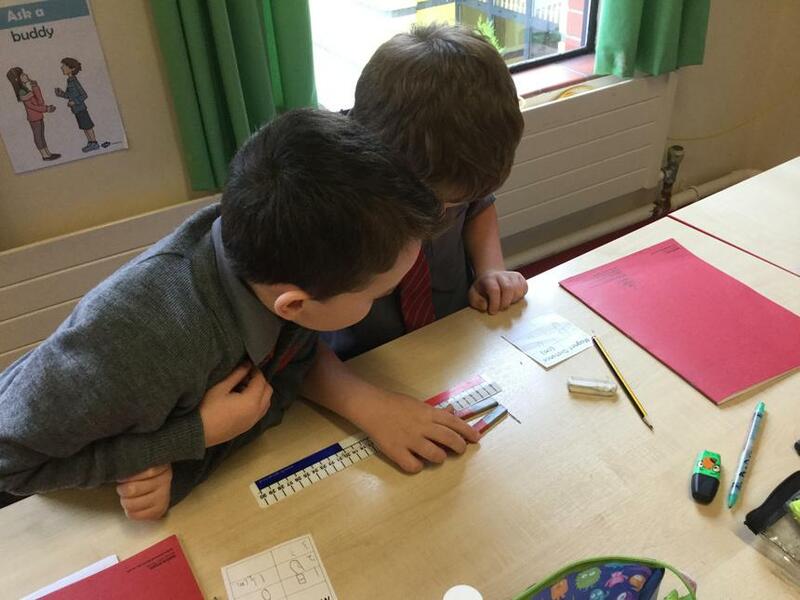 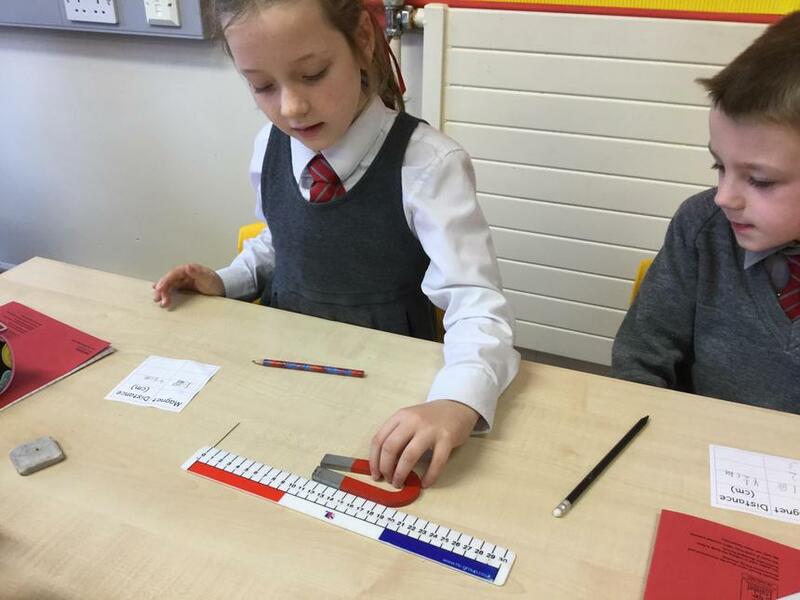 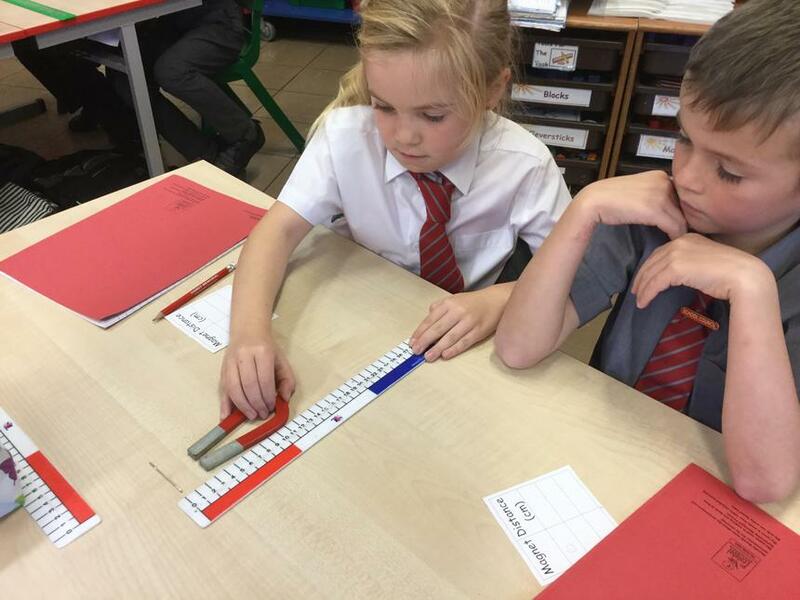 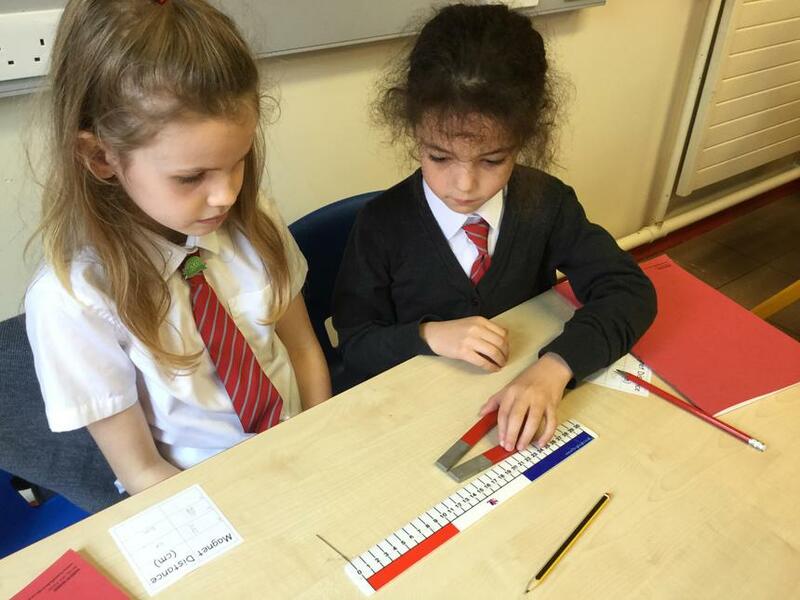 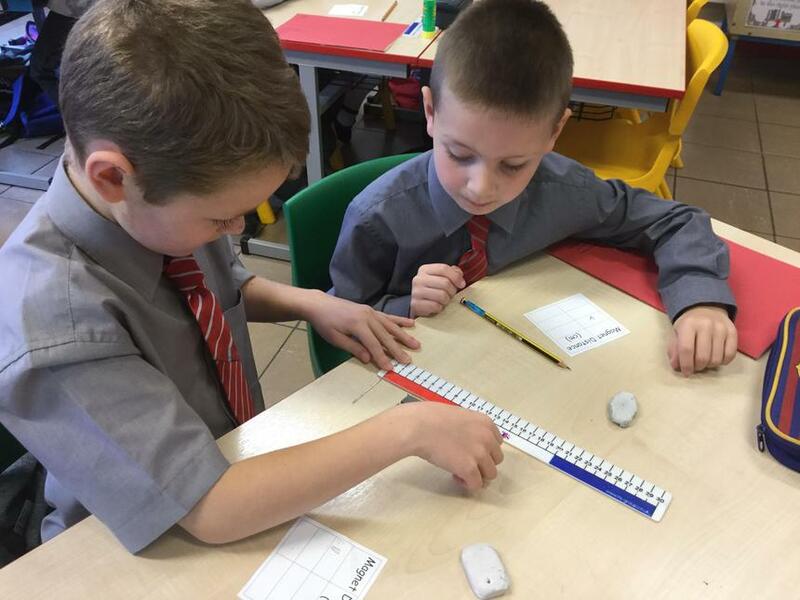 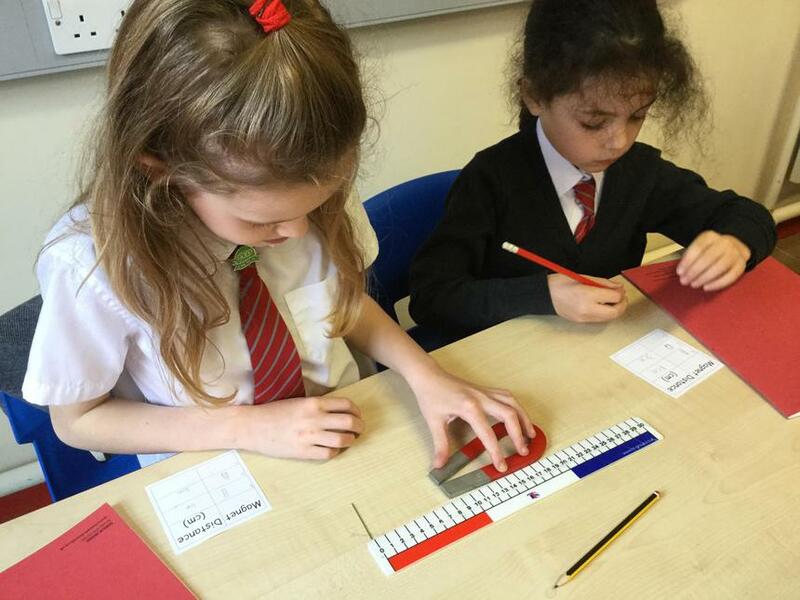 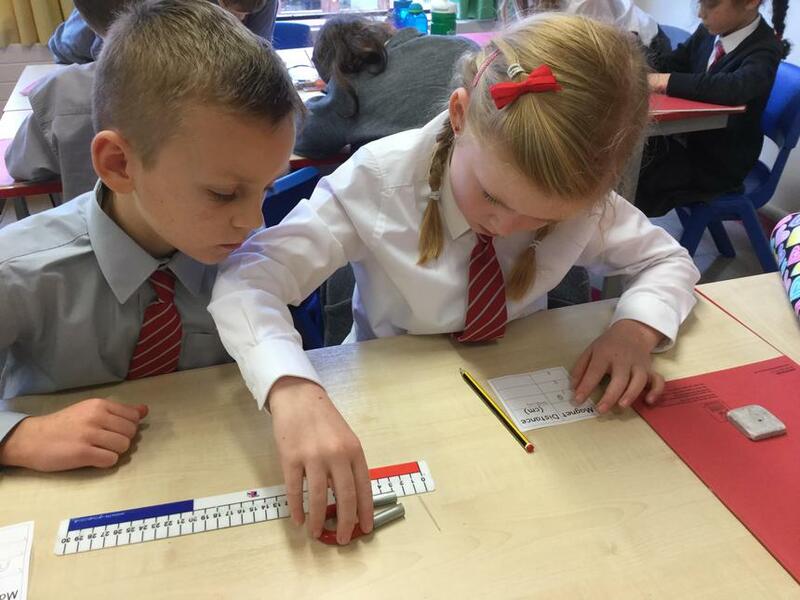 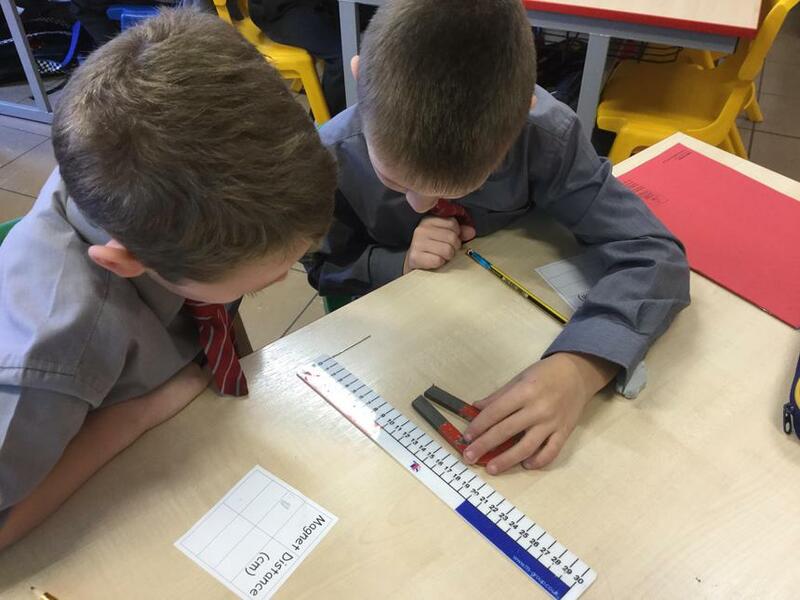 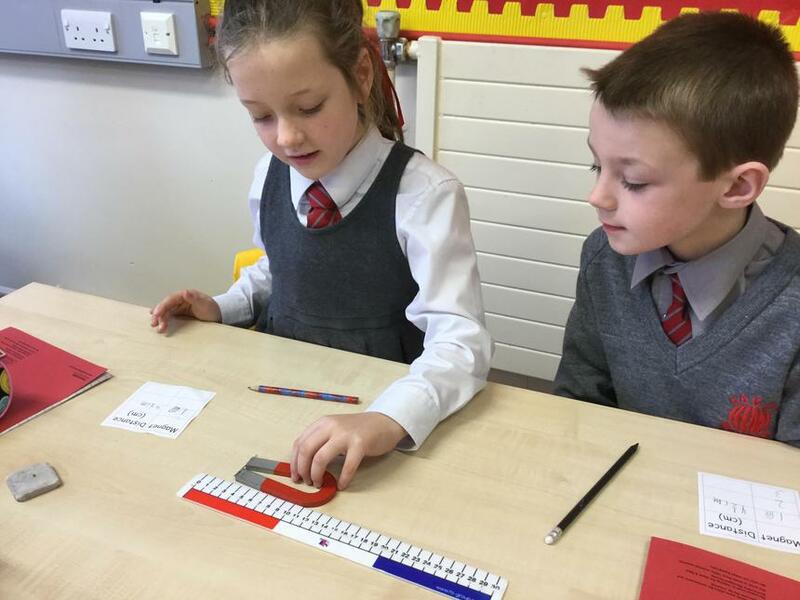 Conducting an experiment to help us understand the stages that need to be included in our 'Instructional' writing. 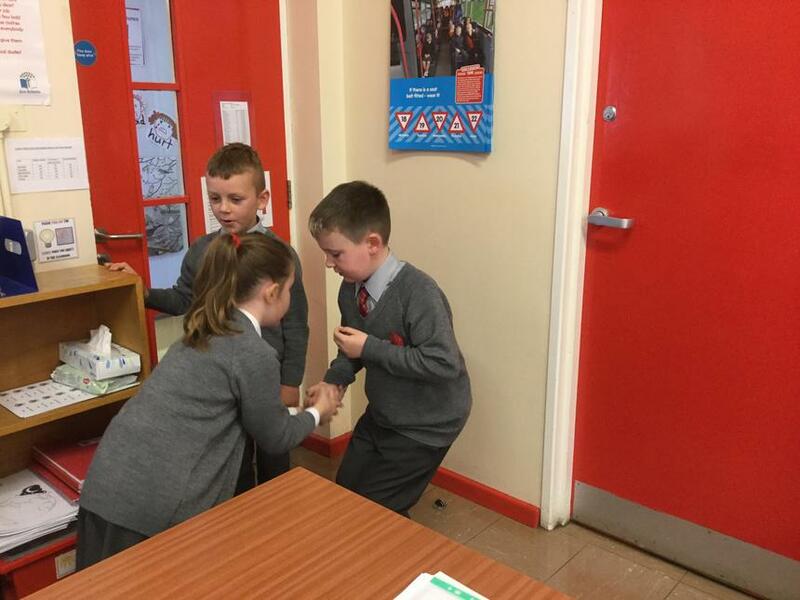 We used three different magnets and were able to draw conclusions as to the strongest and weakest magnet. 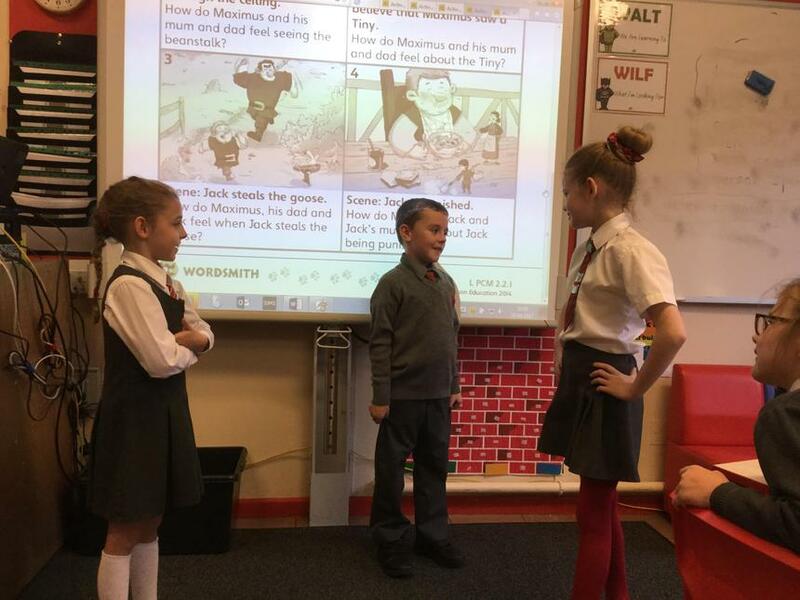 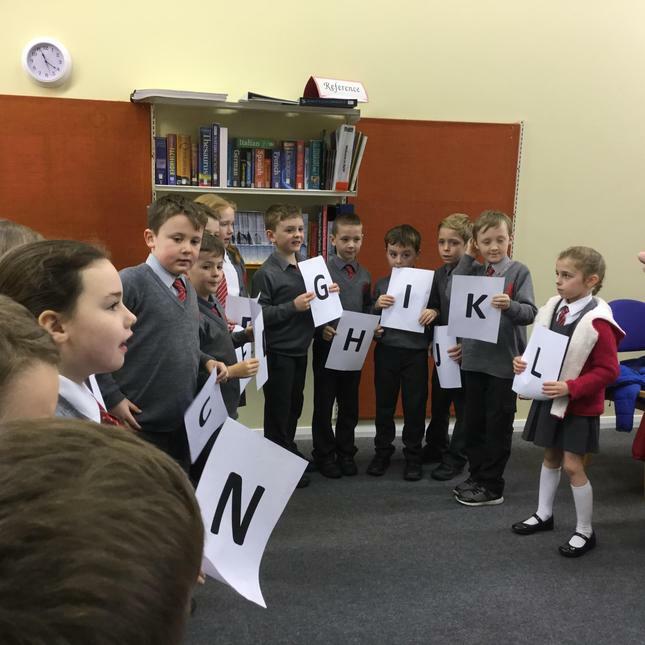 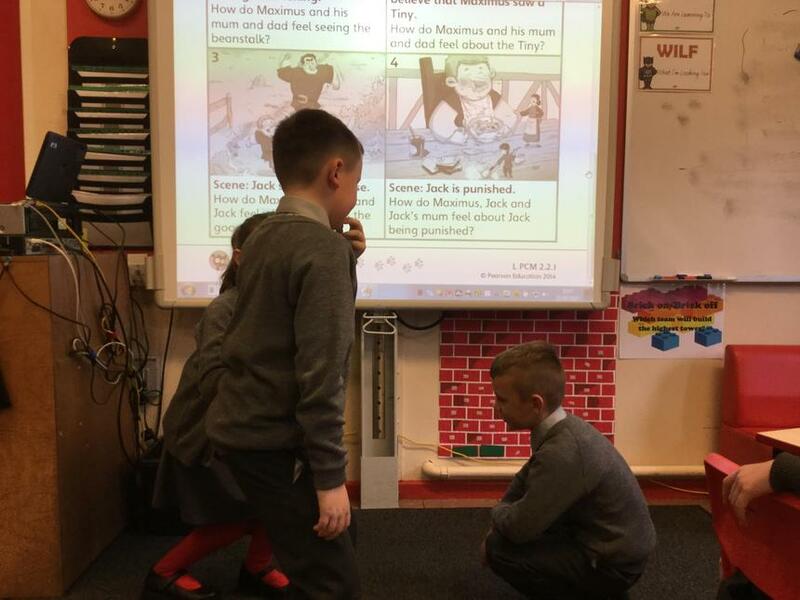 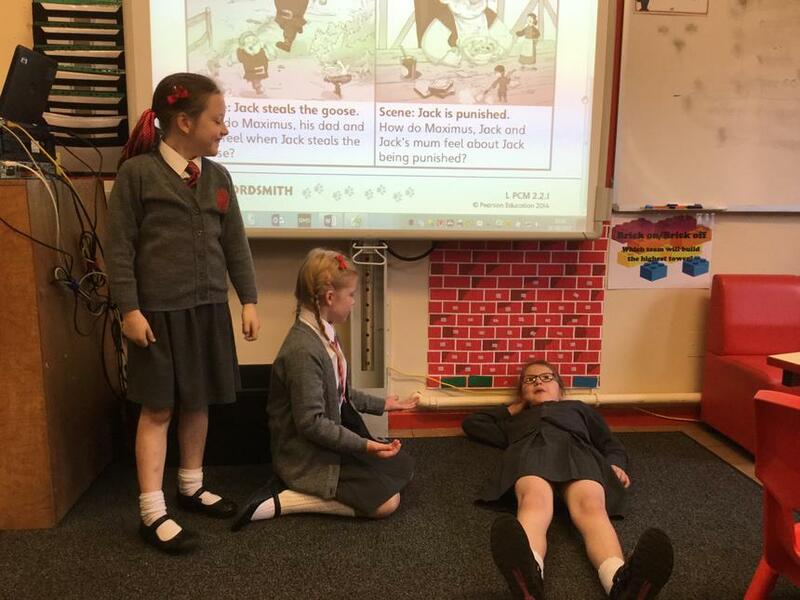 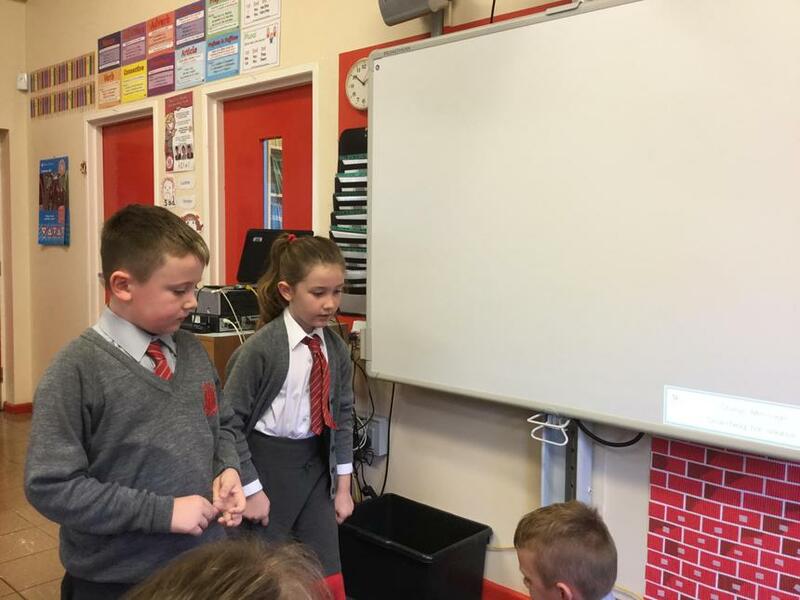 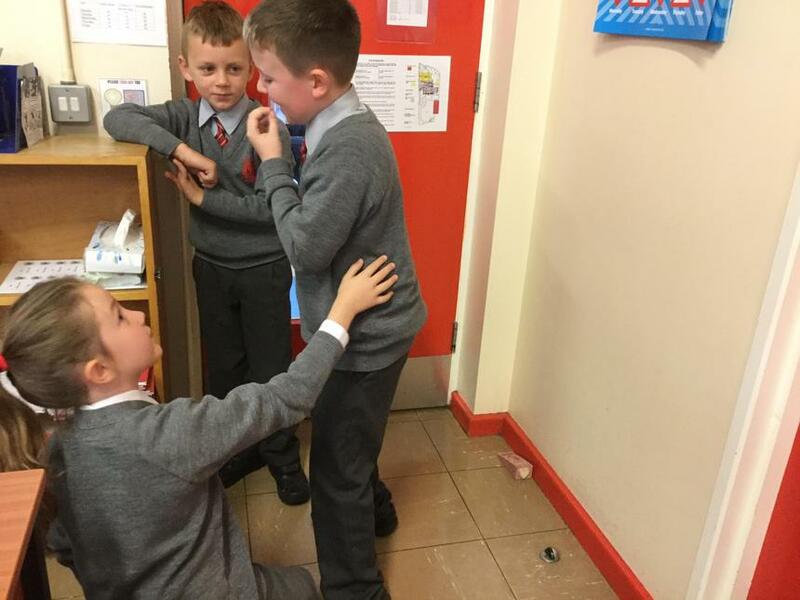 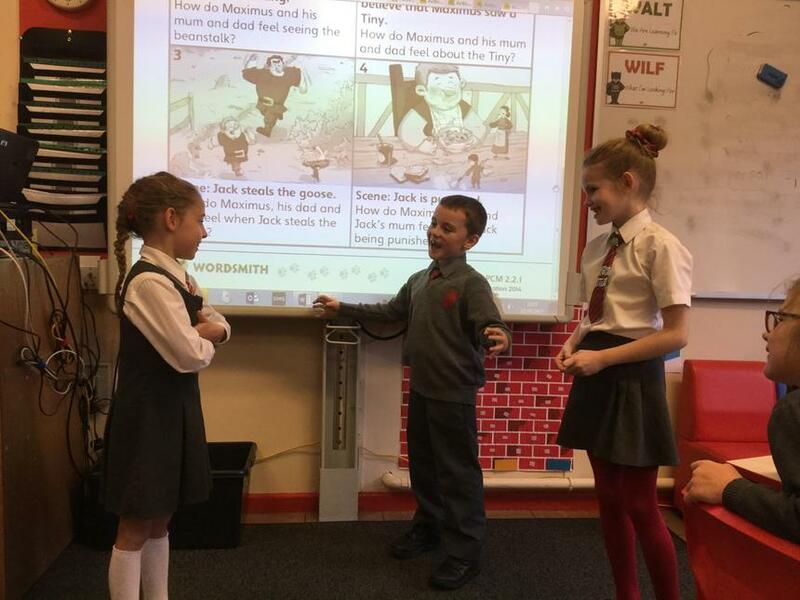 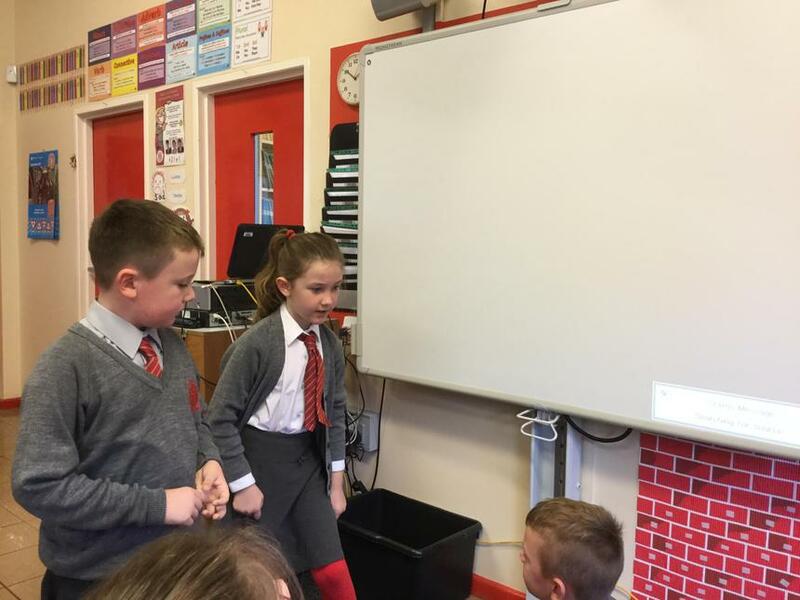 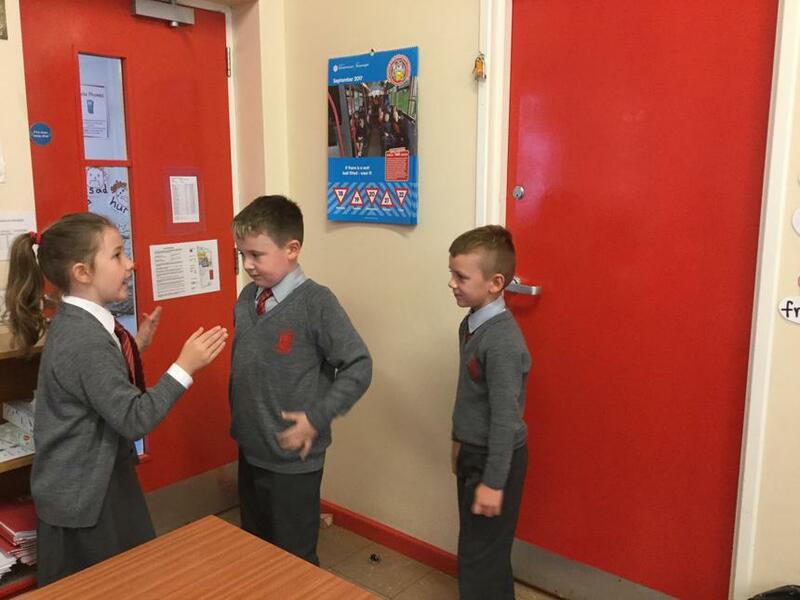 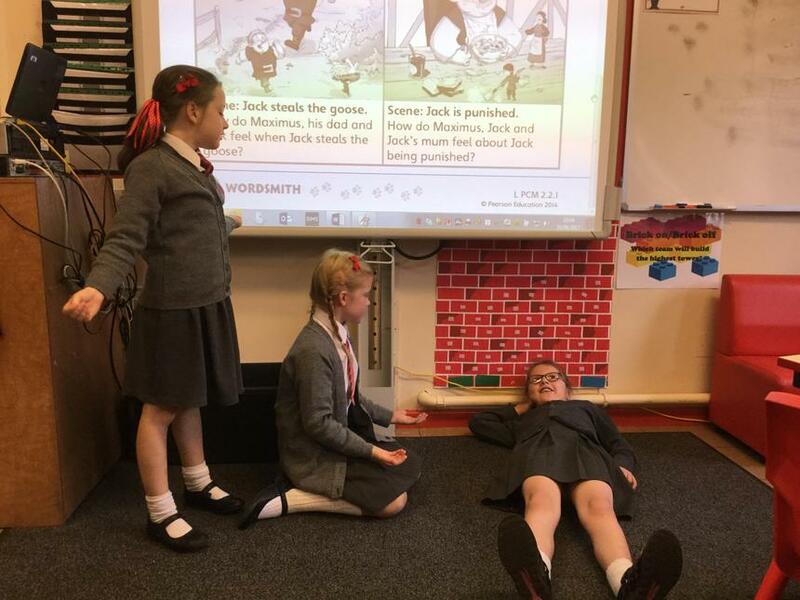 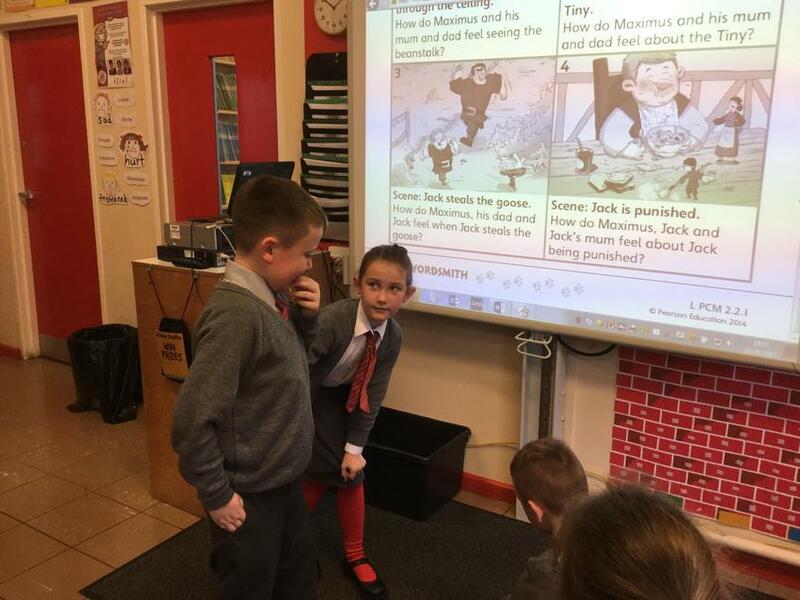 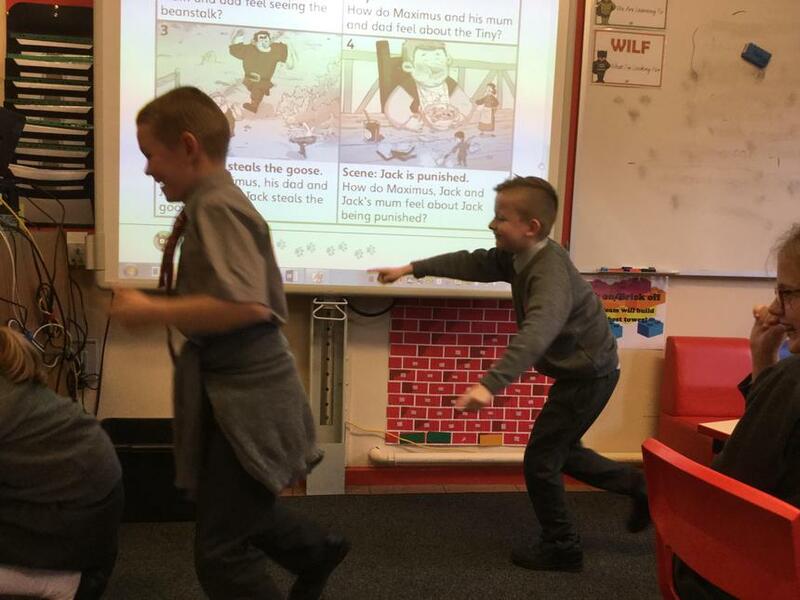 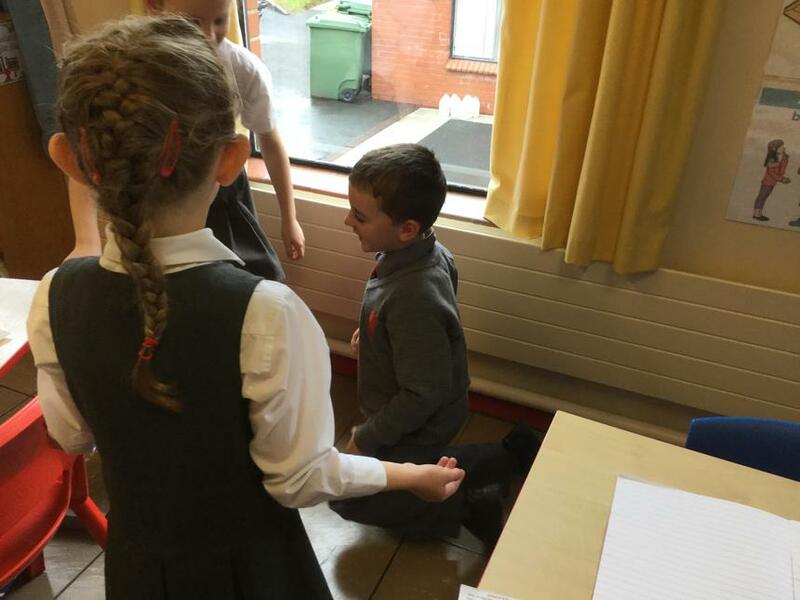 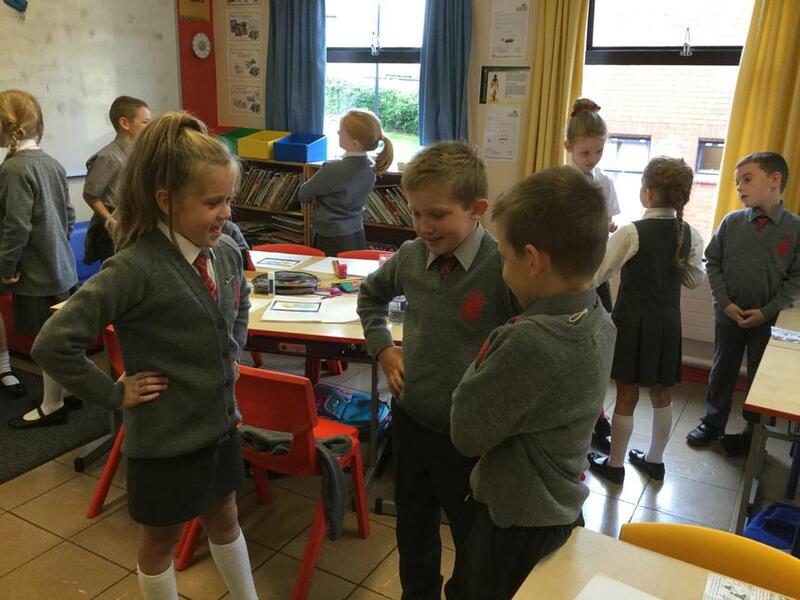 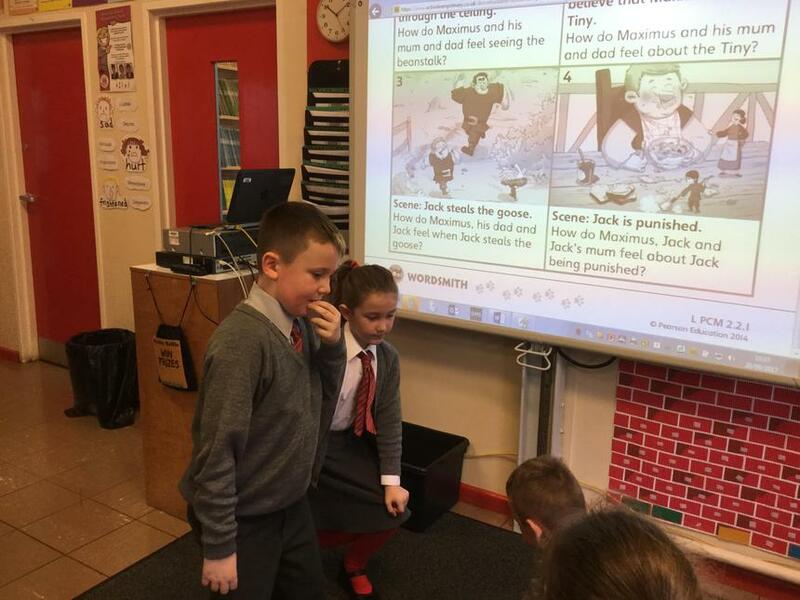 In small groups the children used ‘Expressive acting’ to practise interpreting characters, using exaggerated facial expressions, tones of voice and body language. 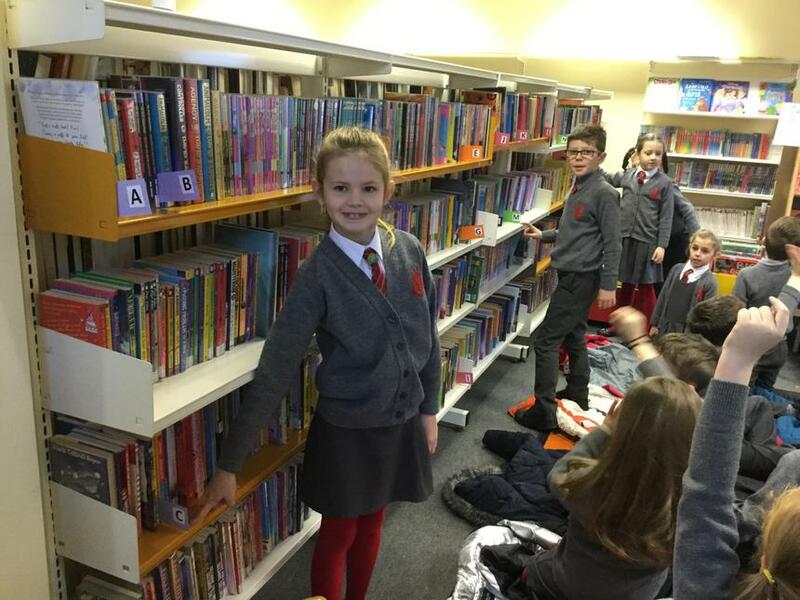 Everyone had great fun! 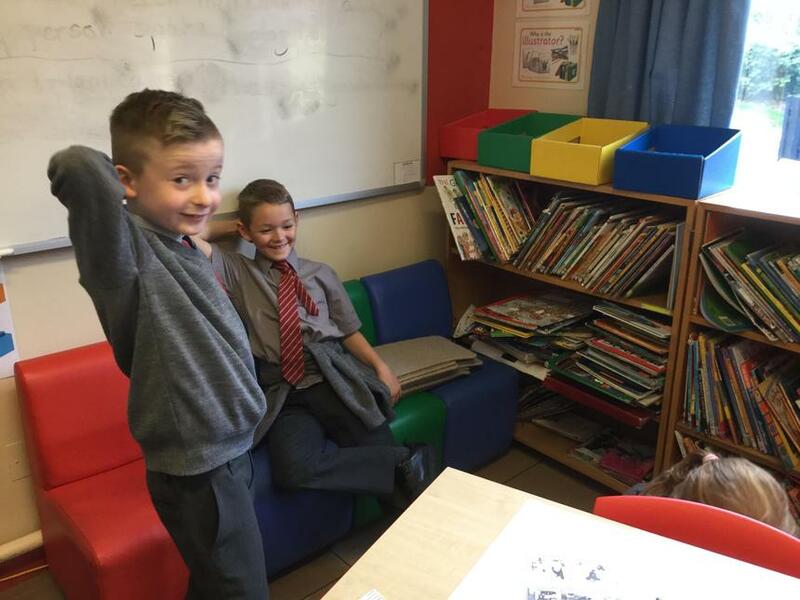 There are some stars in the making! 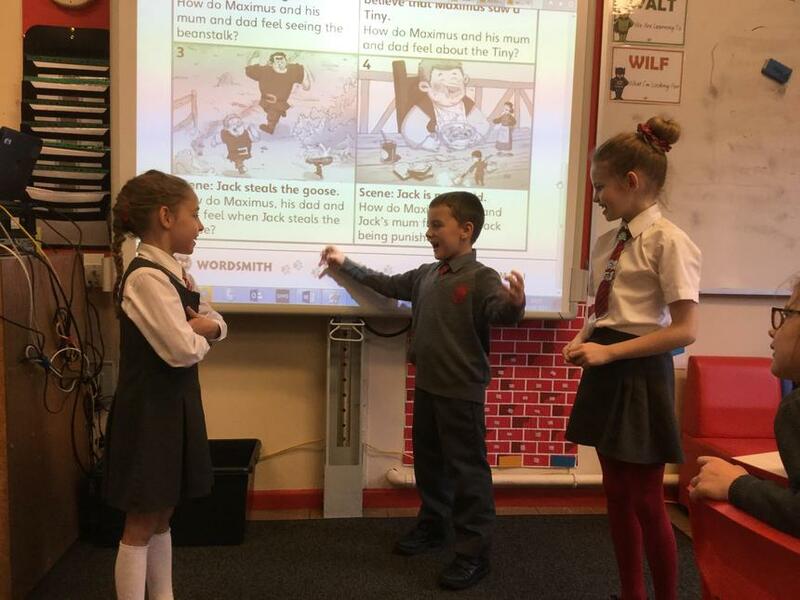 Sorting items on a Venn diagram to see if they are specific to a storybook, play script or both.